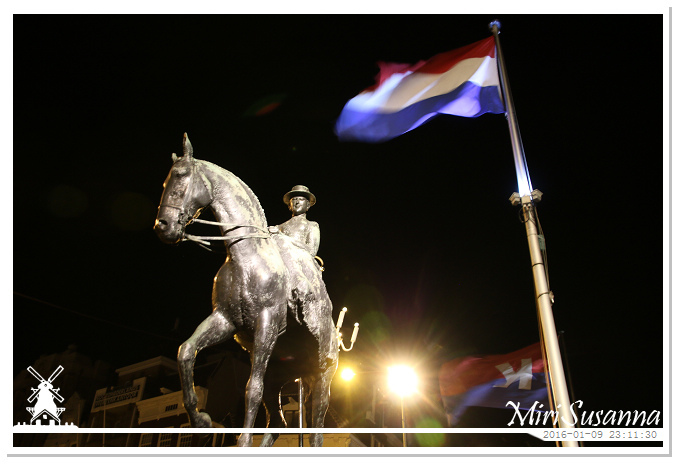 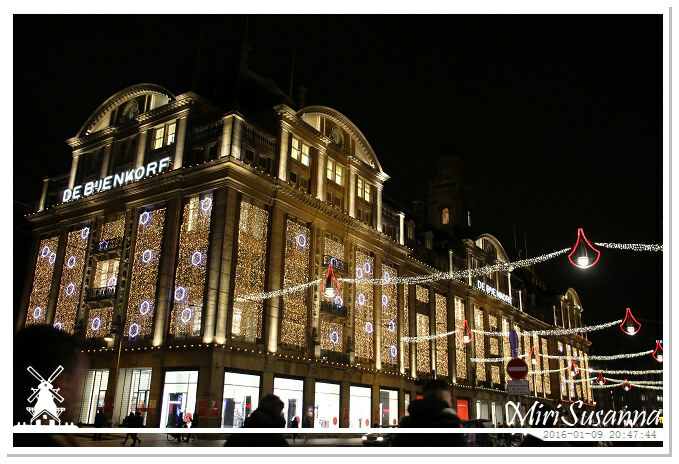 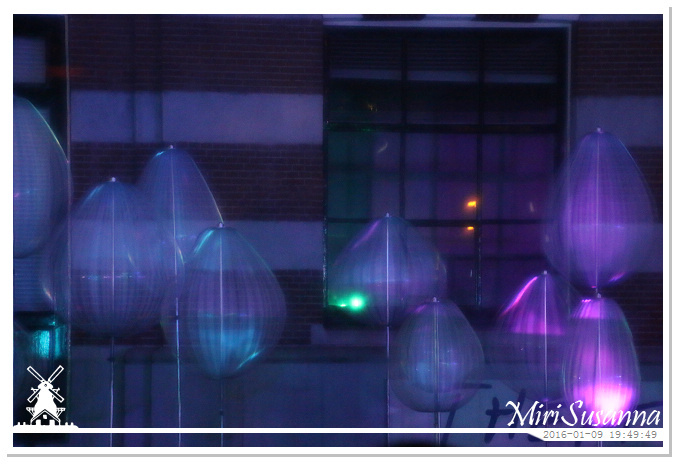 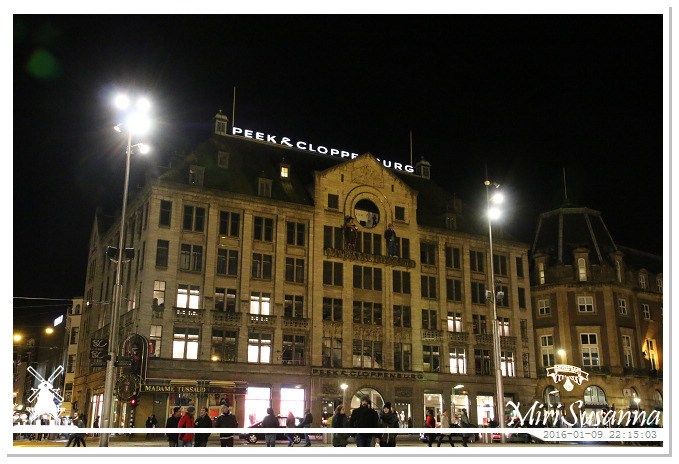 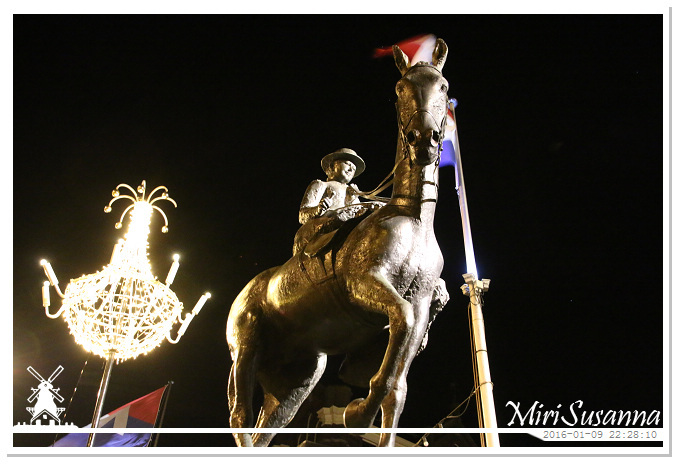 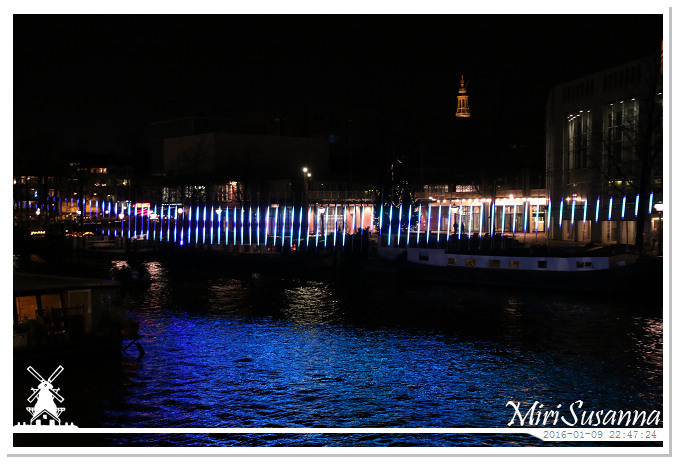 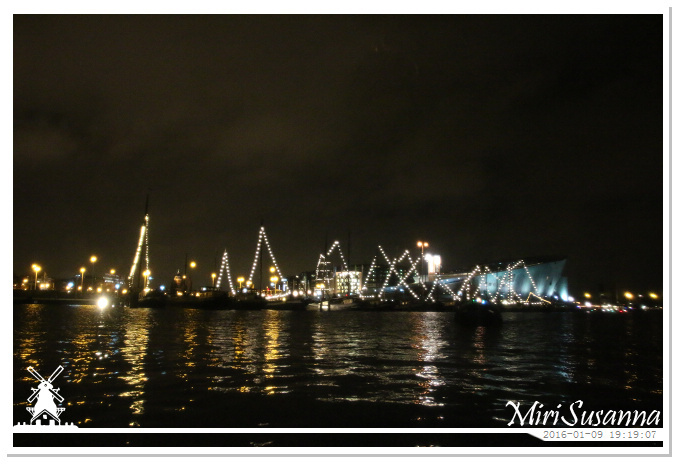 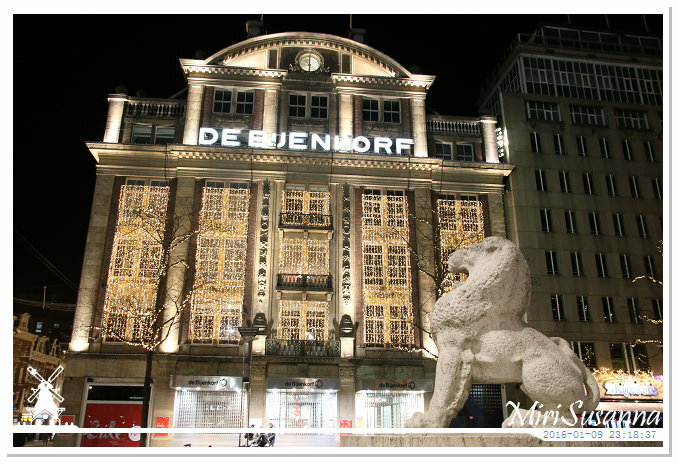 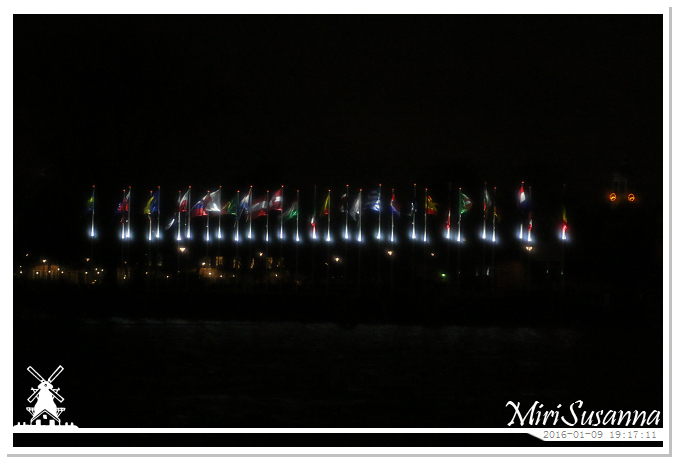 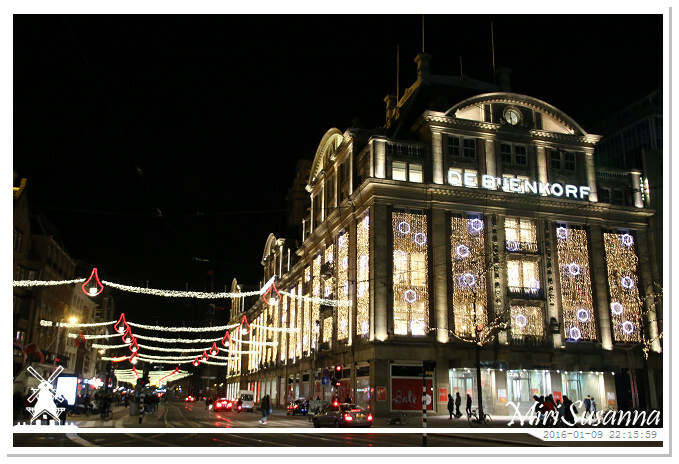 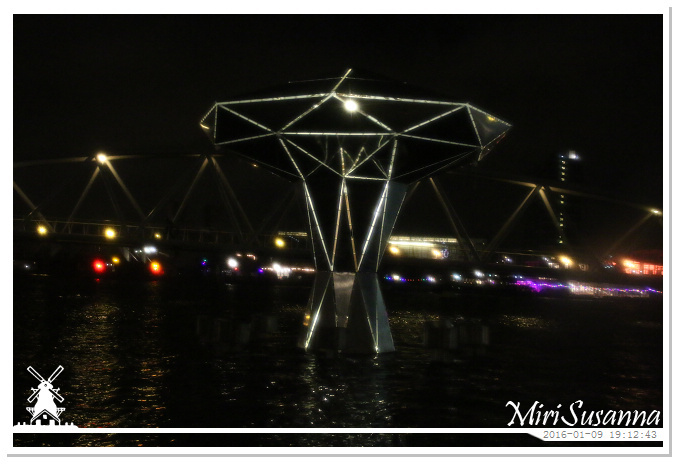 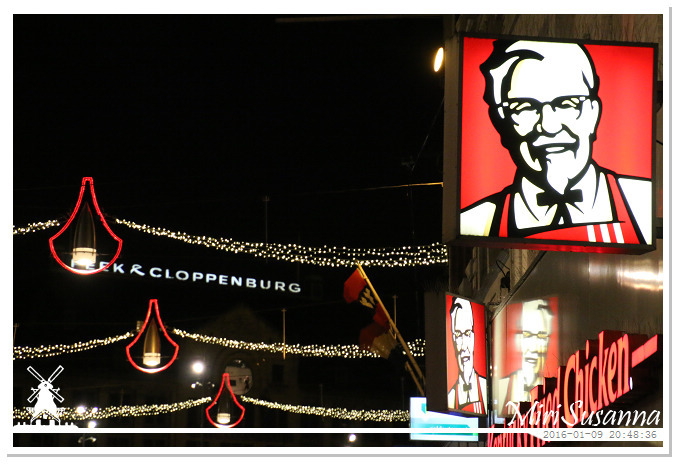 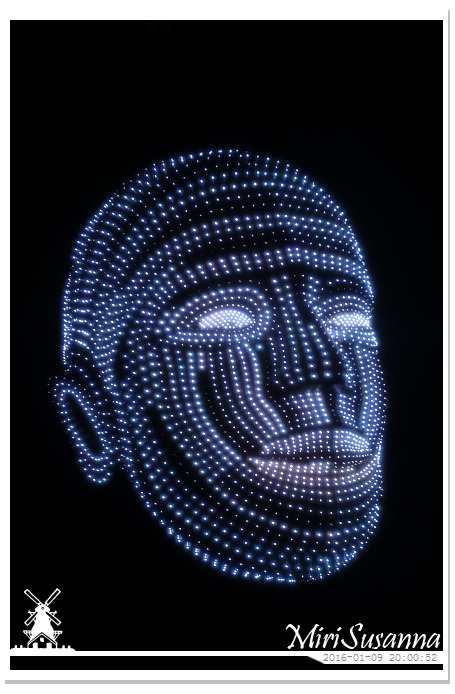 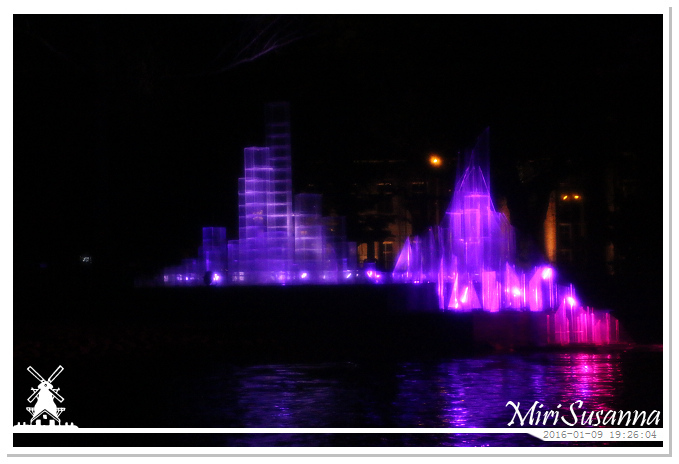 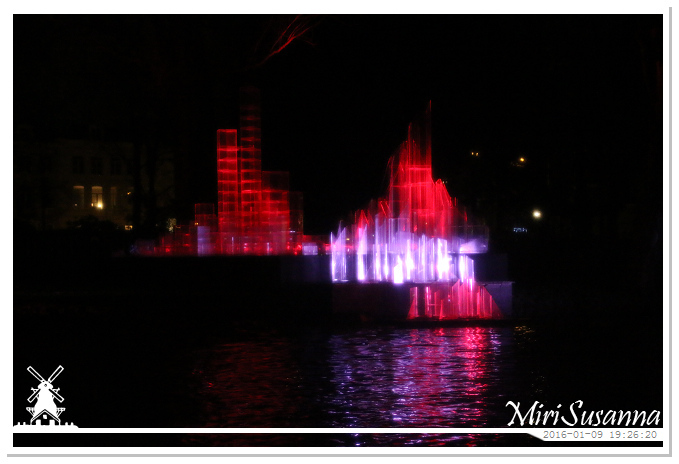 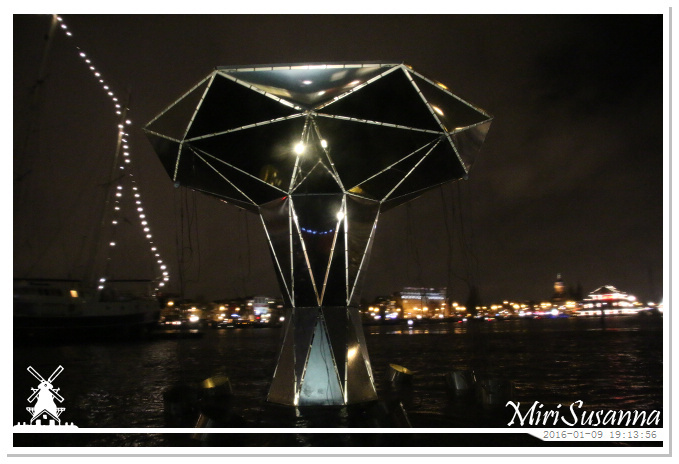 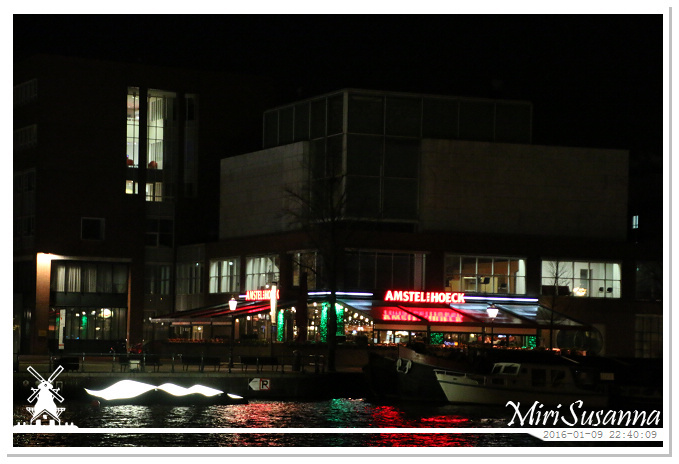 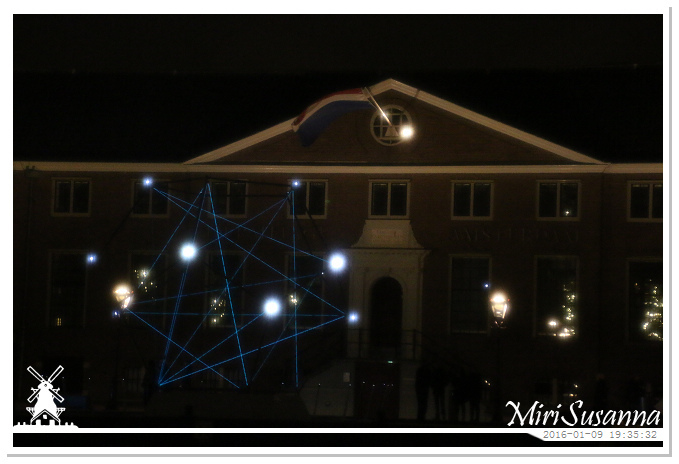 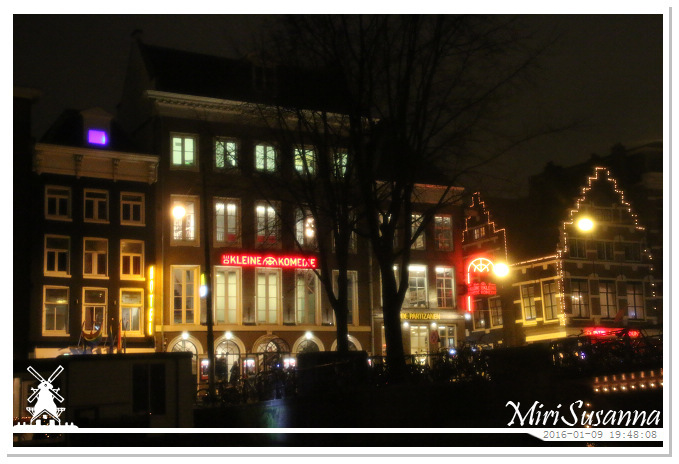 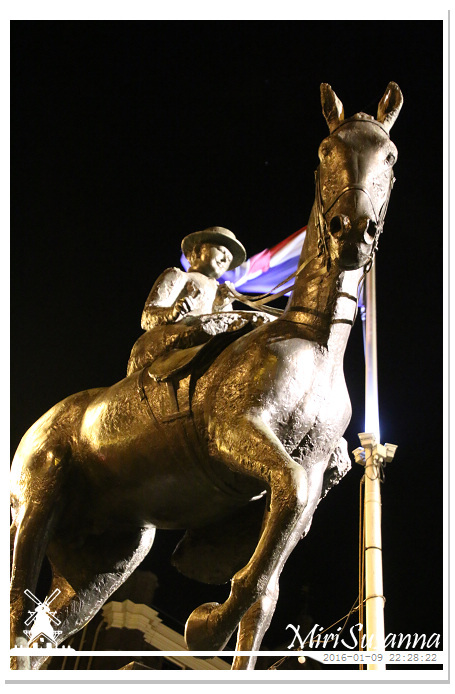 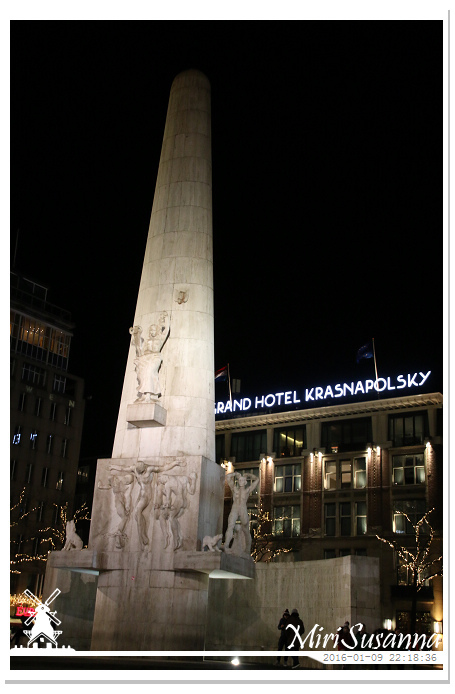 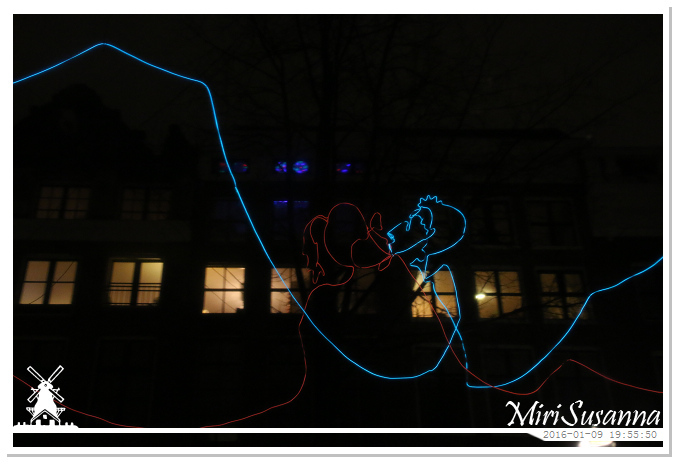 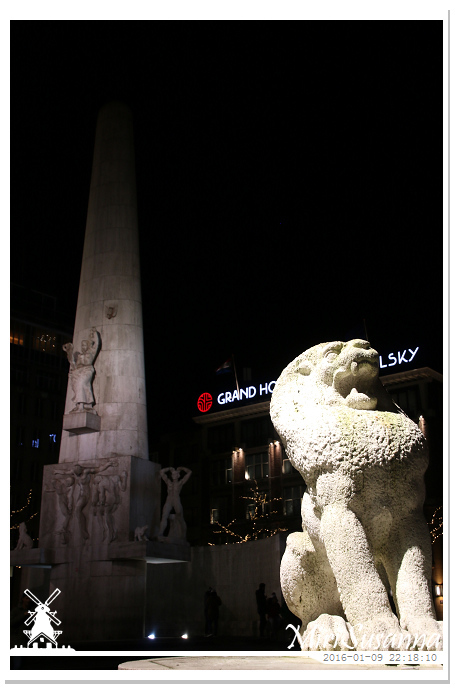 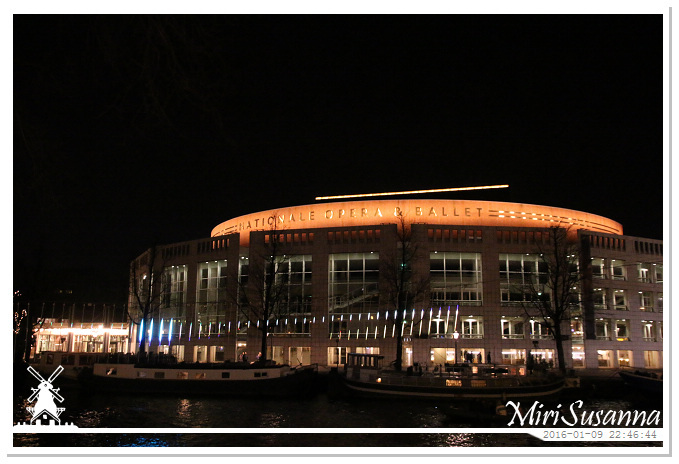 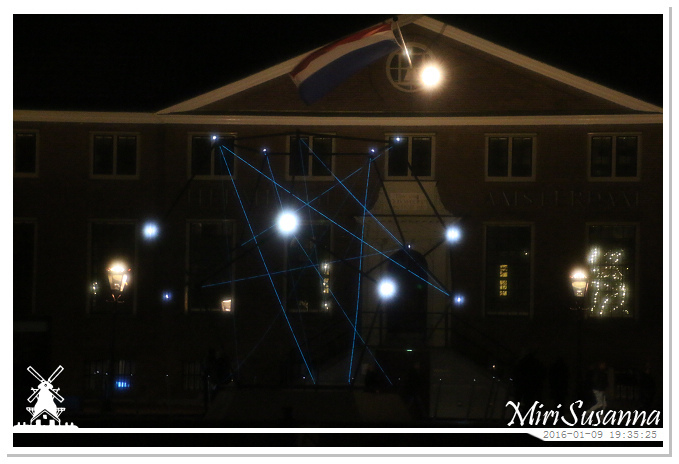 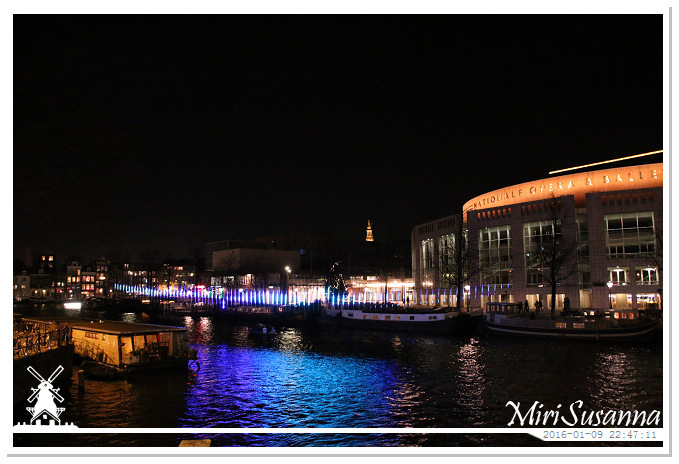 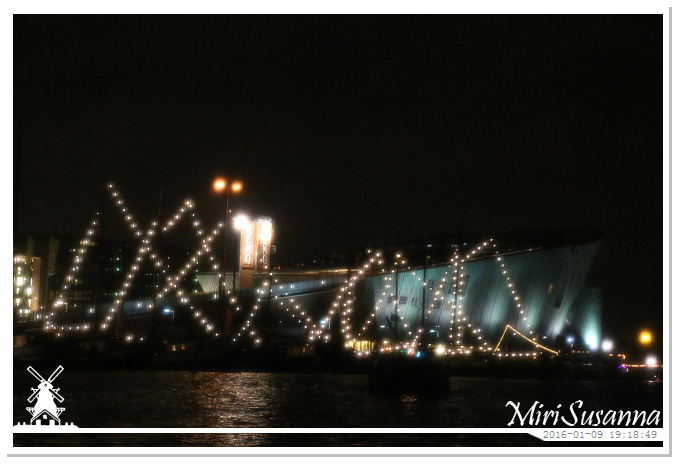 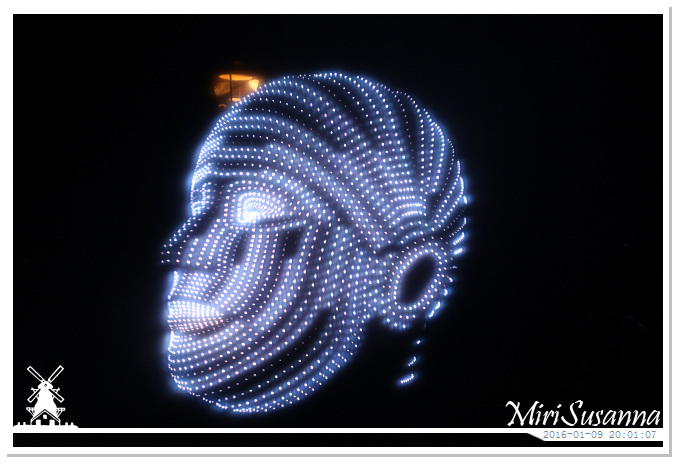 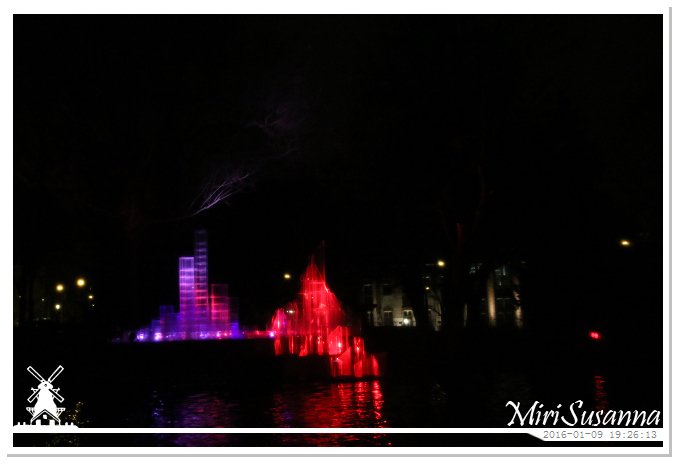 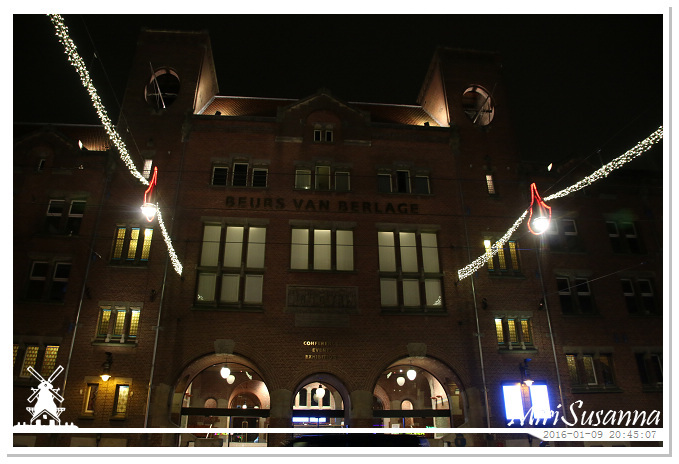 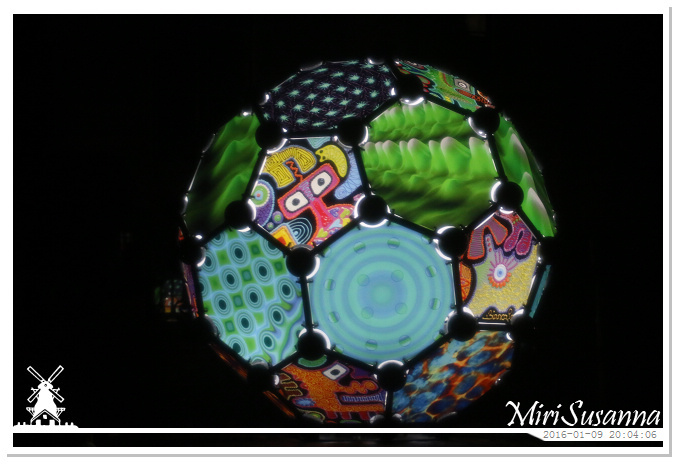 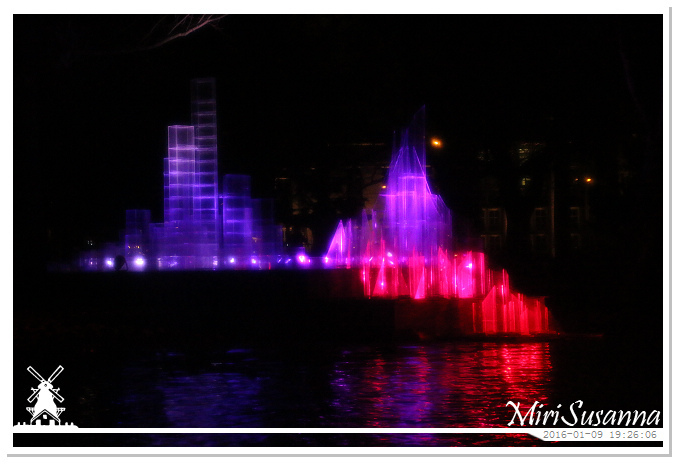 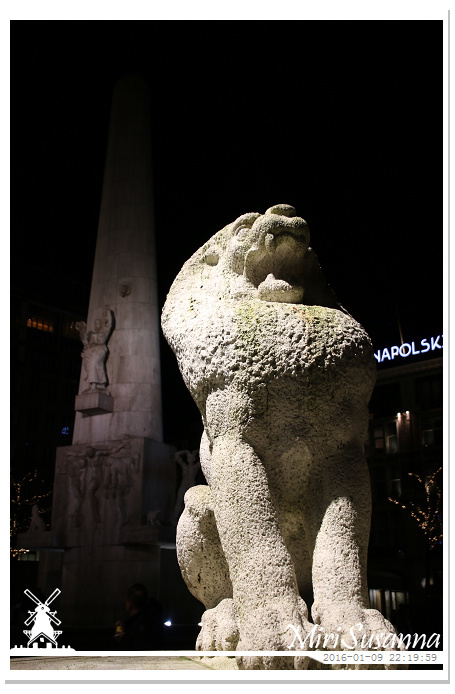 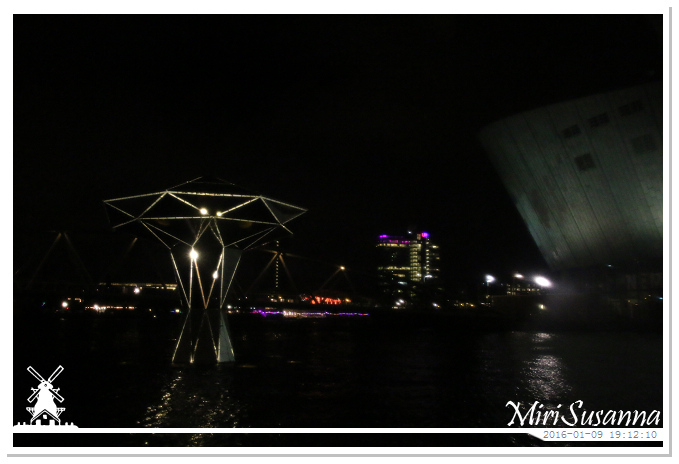 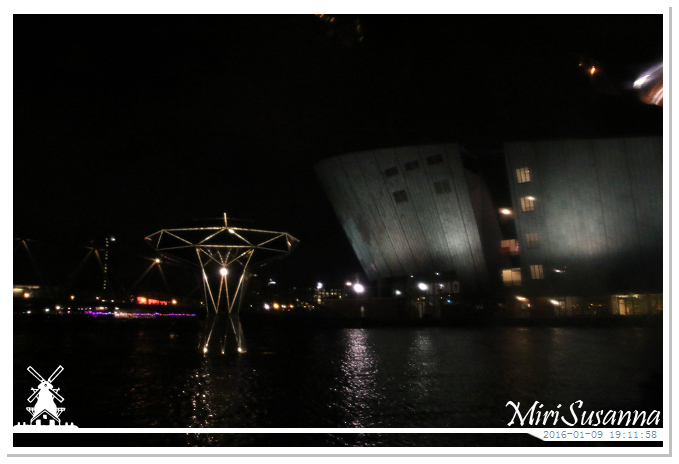 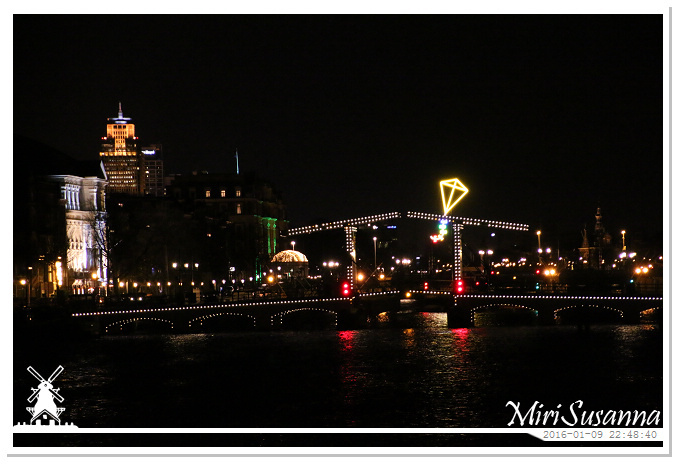 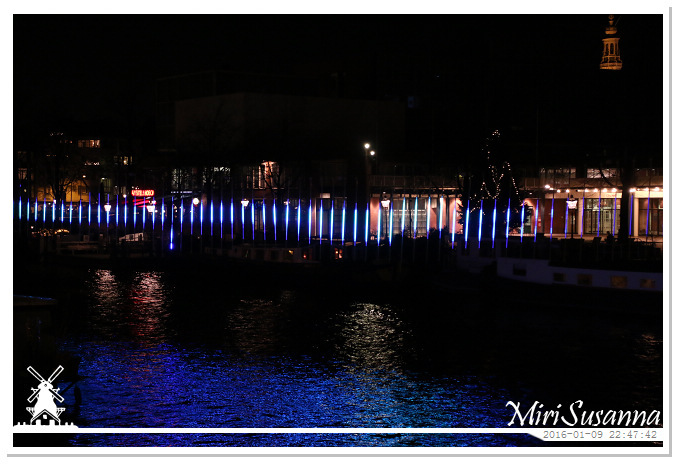 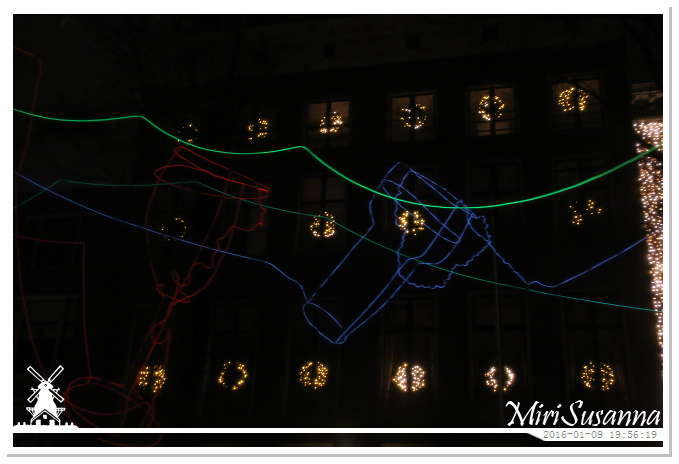 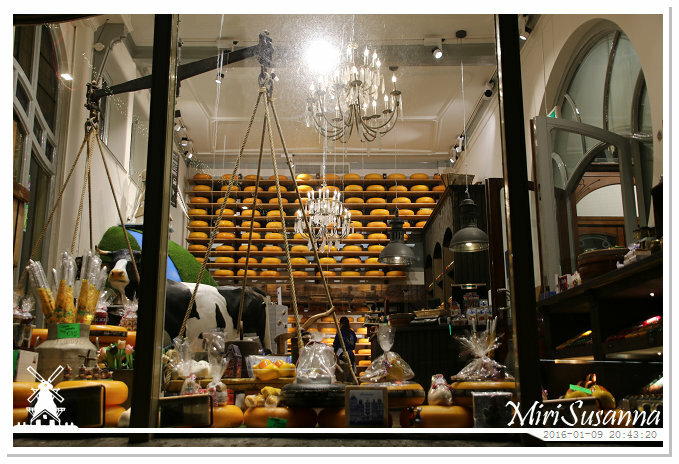 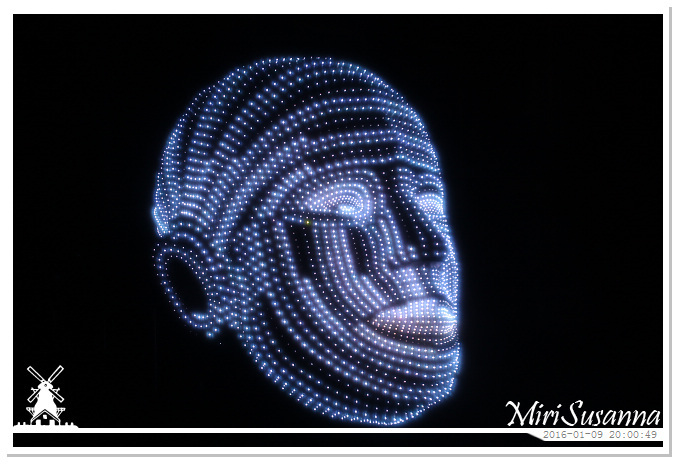 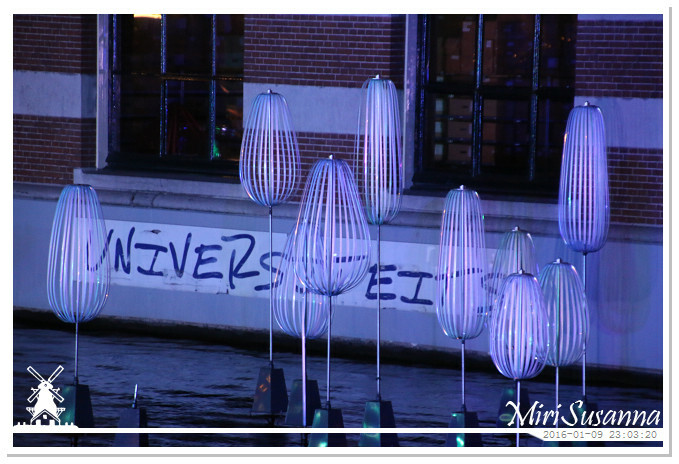 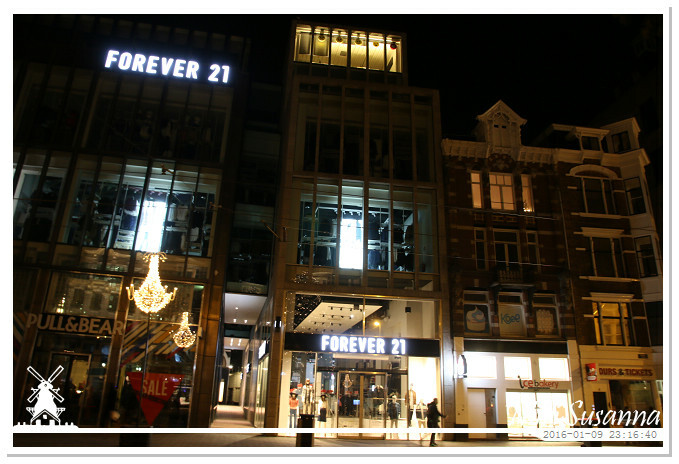 [NL] Het is alweer het Amterdam Light Festival en het thema van de editie 2015-2016 is “friendship”. 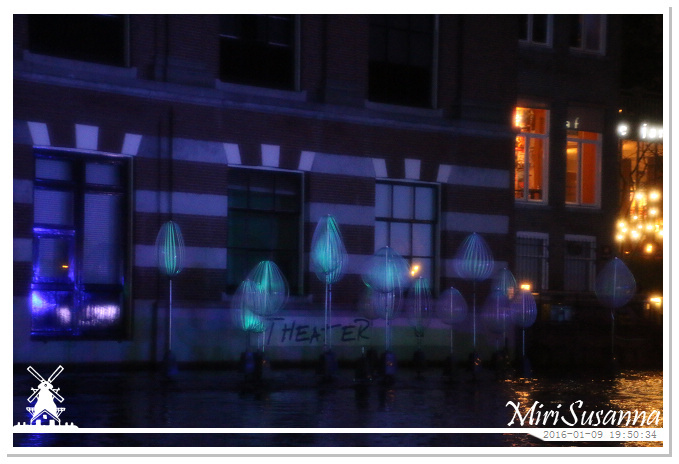 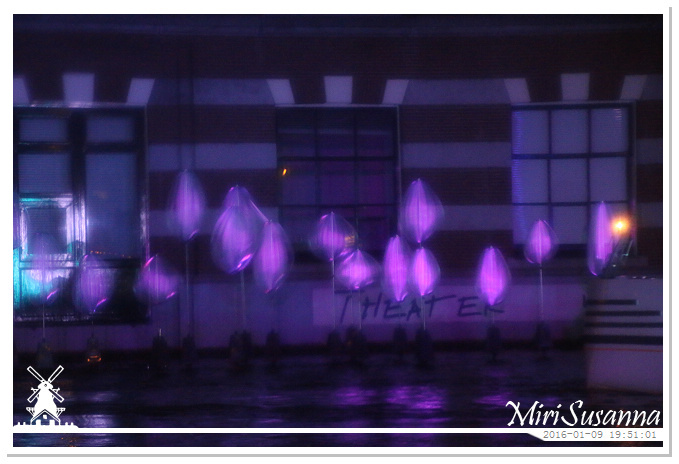 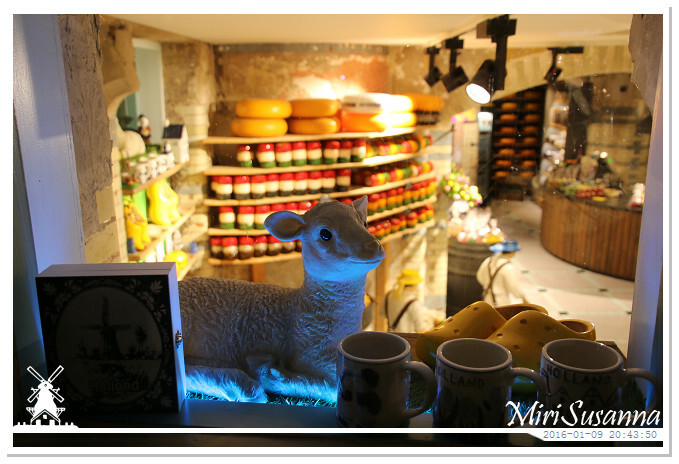 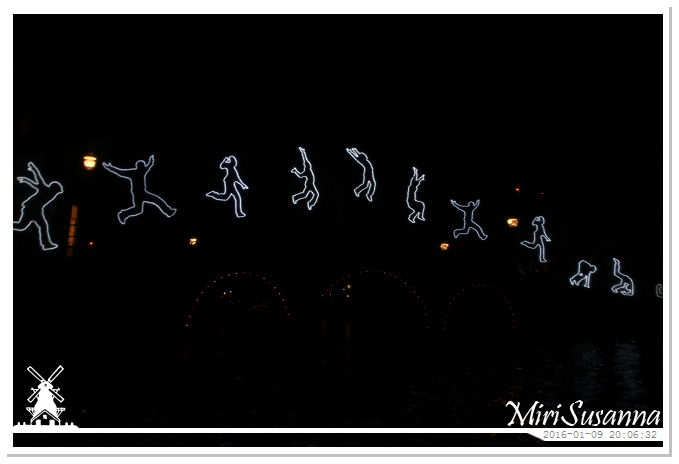 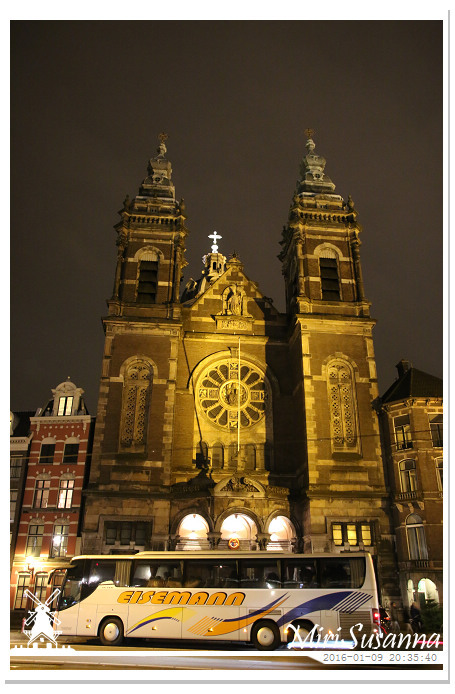 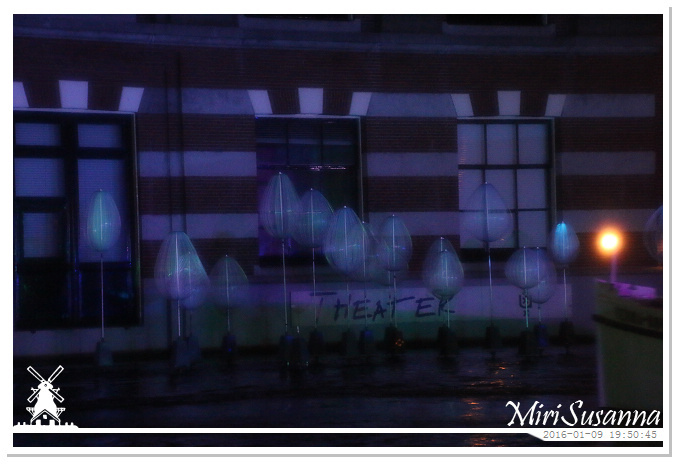 Zoals andere edities, er zijn twee routes om het festival te genieten: Water Colors en Illuminade. 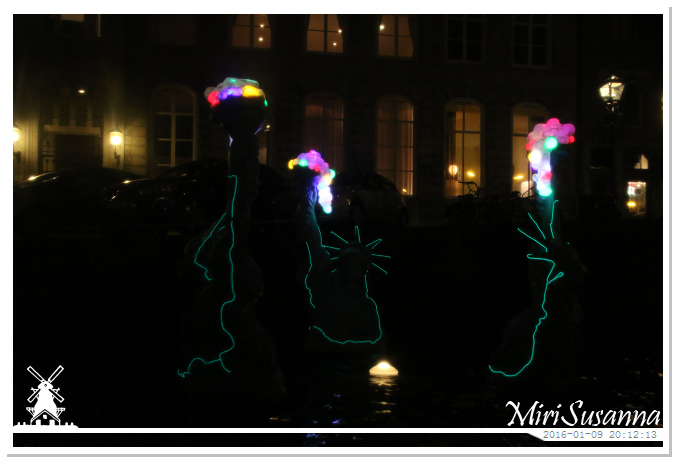 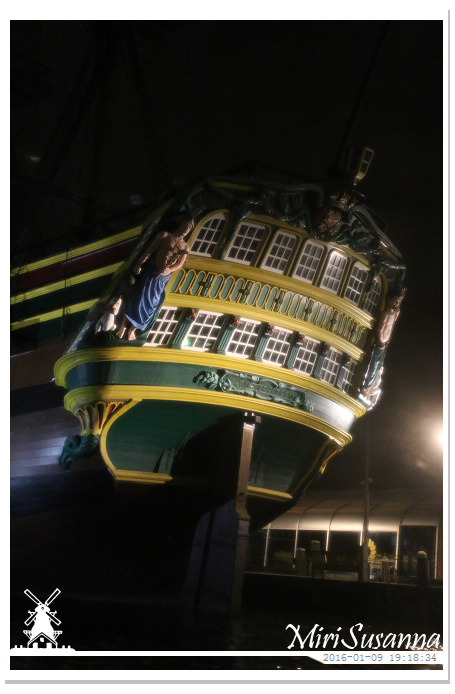 Water Colors is een vaarroute, waar de befaamde 17de-eeuwse grachten het decor vormt en die het best per boot te bekijken is, en Illuminade is een wandelroute, waar ruim 20 lichtkunstwerken in de cultuurrijke Weesper- en Plantagebuurt tonen. 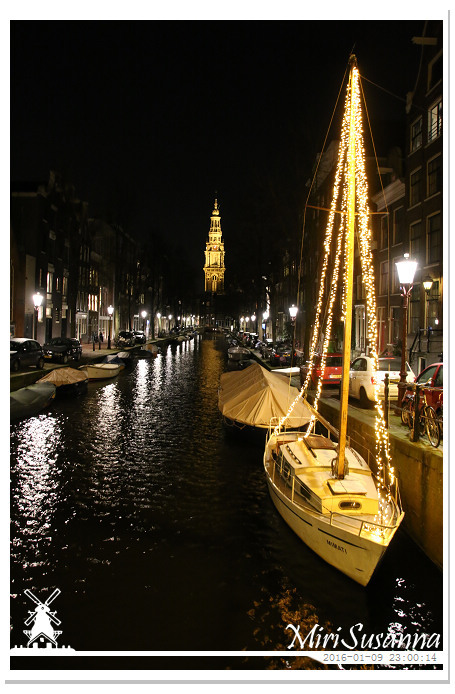 Voorheen zijn we al twee keer bij het festival geweest en hadden we de rondvaartboottocht nog niet gehad. 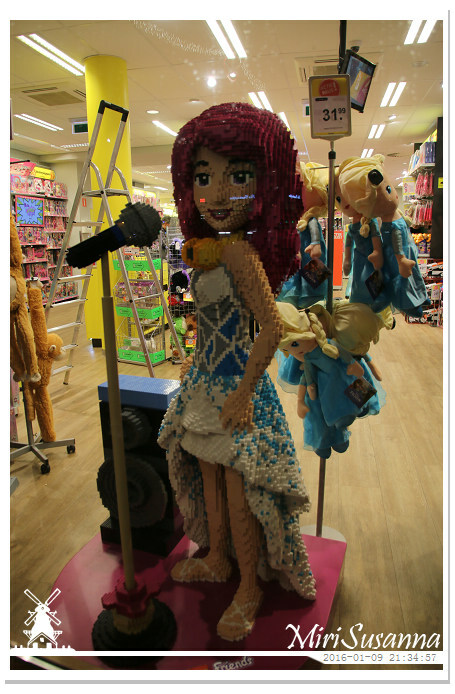 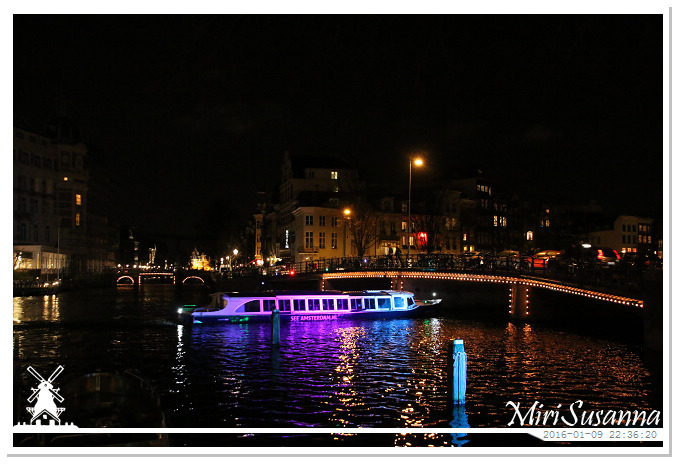 Deze keer hebben we de tickets via Groupon gekocht en meteen een reservering gedaan bij Amsterdam Boart Experience. 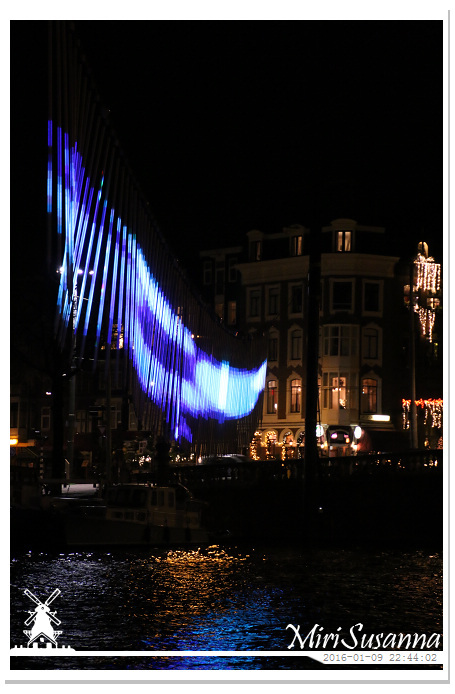 Voor het vertrek naar Amsterdam, wisten we pas dat Illuminade al voorbij is. 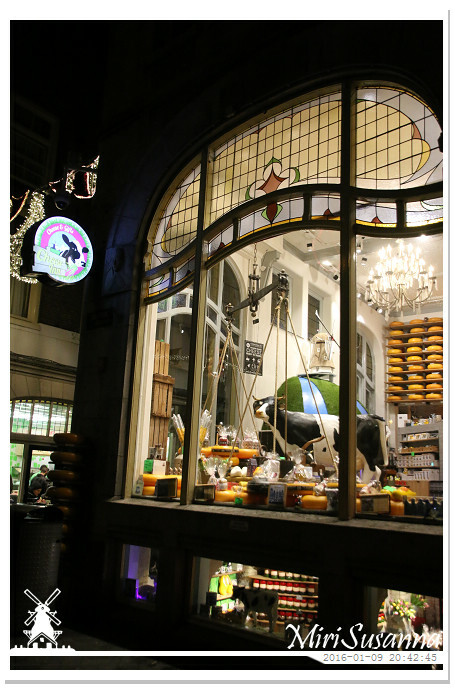 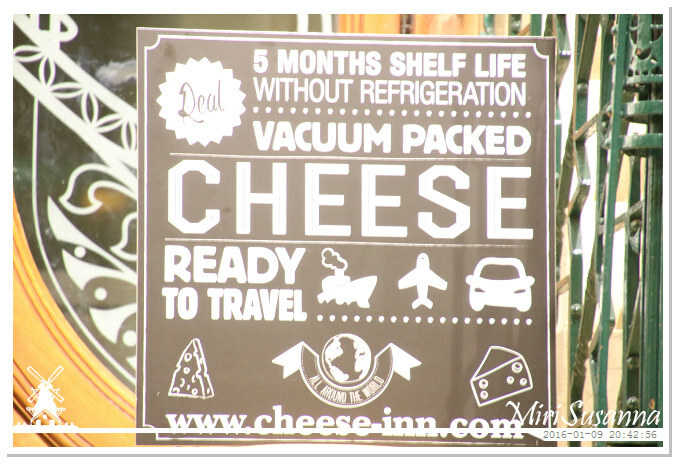 Maar goed, we hebben toch een mooie rondvaart gehaald en een gezellige avond in Amsterdam. 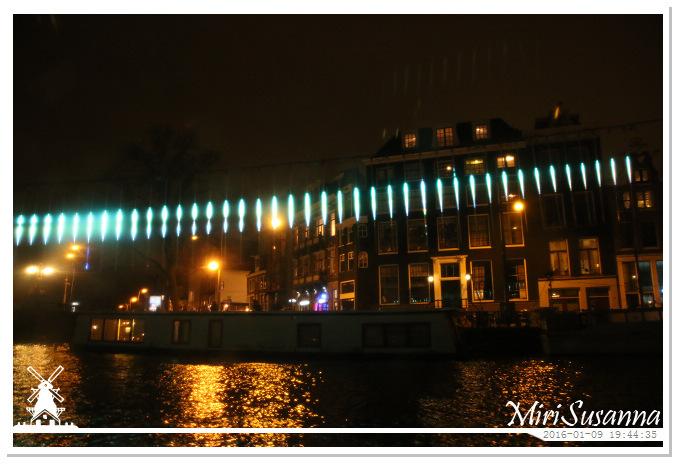 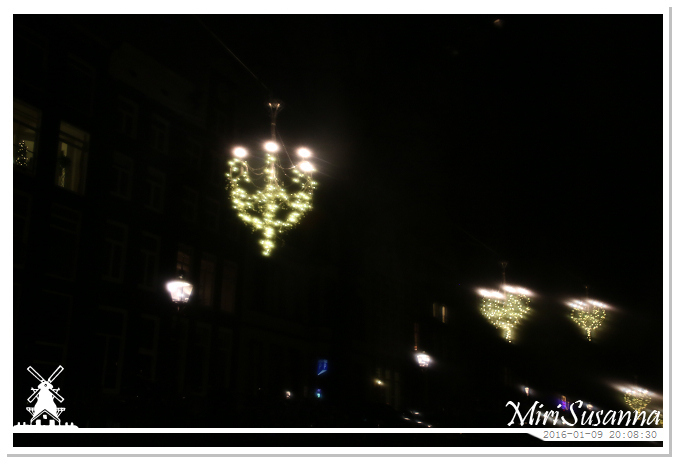 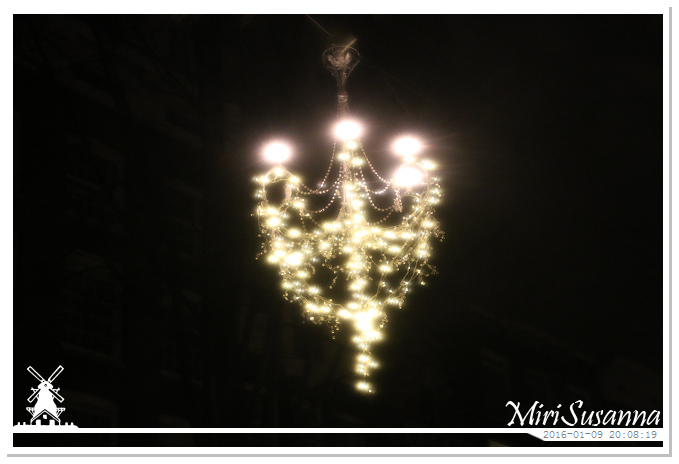 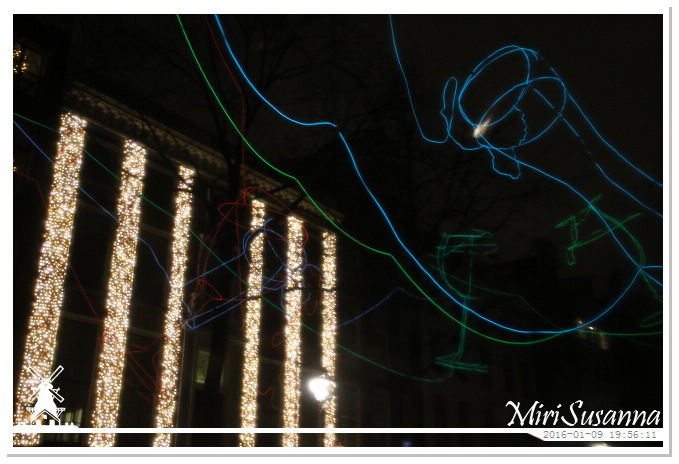 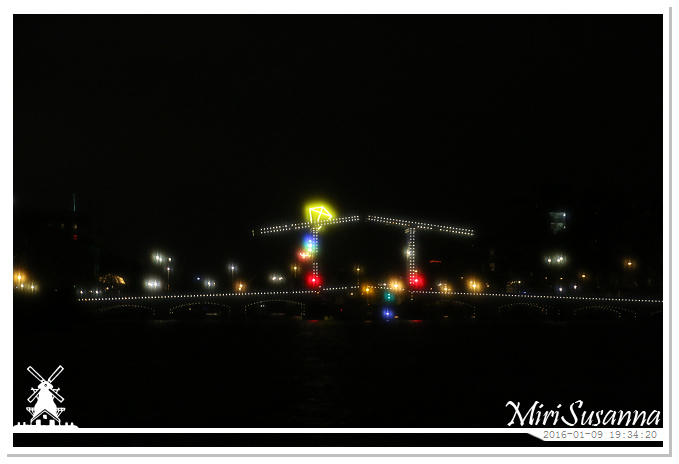 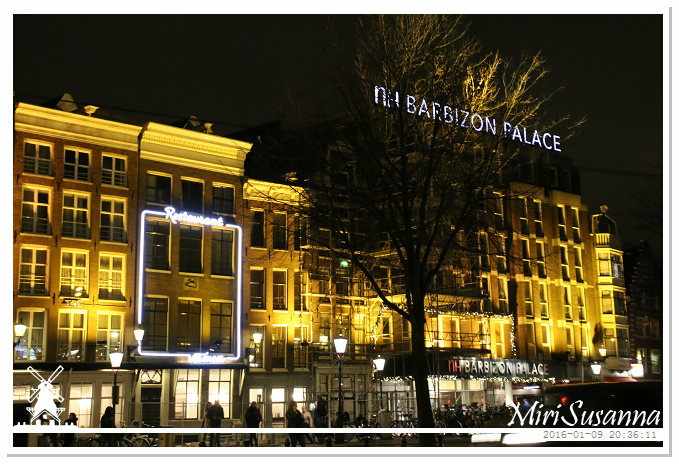 [EN] It’s the Amsterdam Light Festival again. 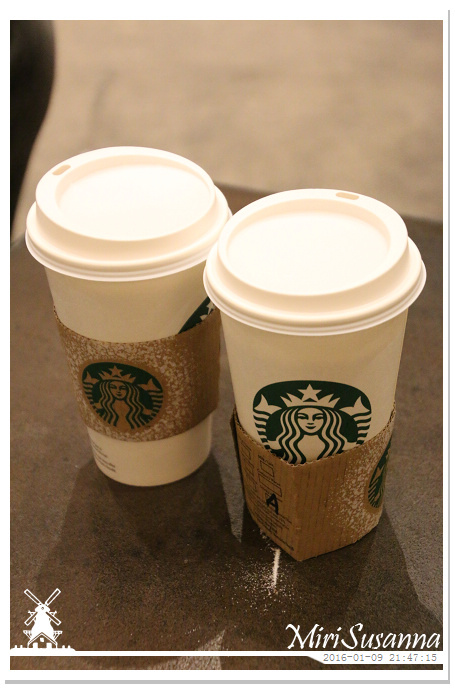 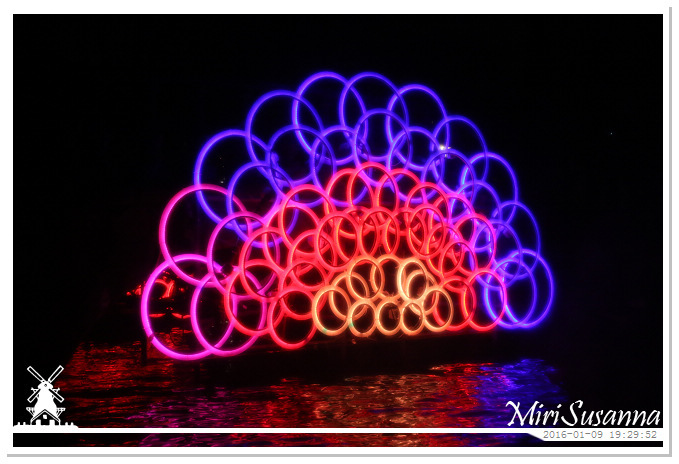 The theme of the edition 2015-2016 is “friendship”. 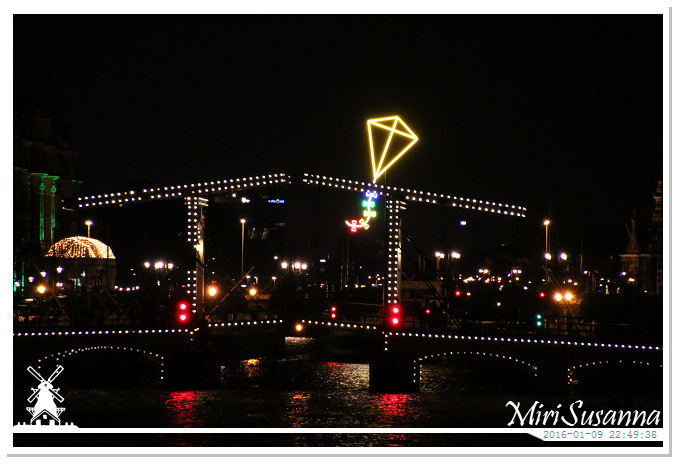 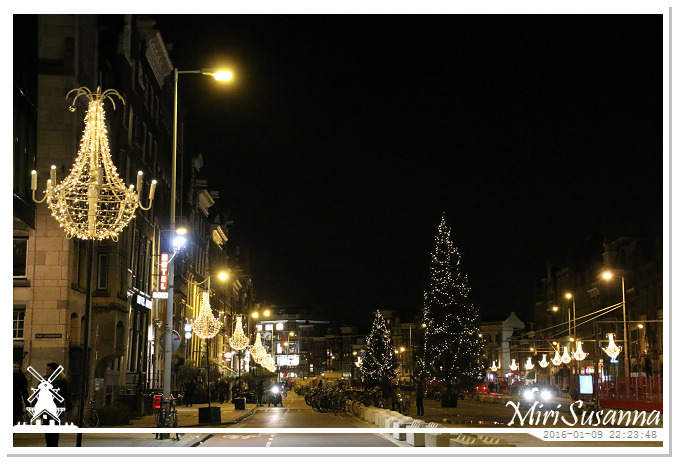 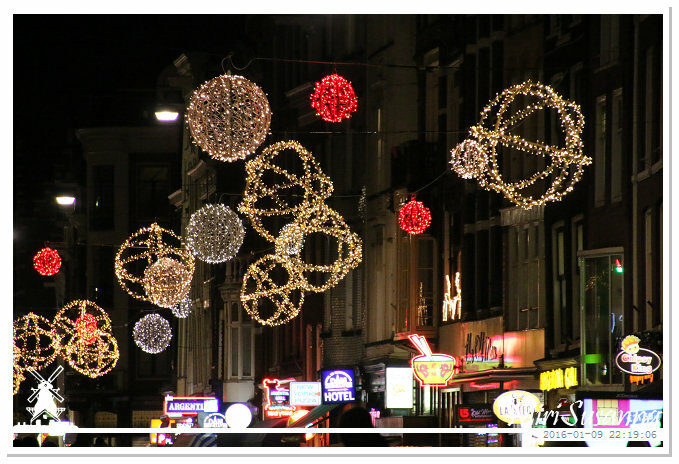 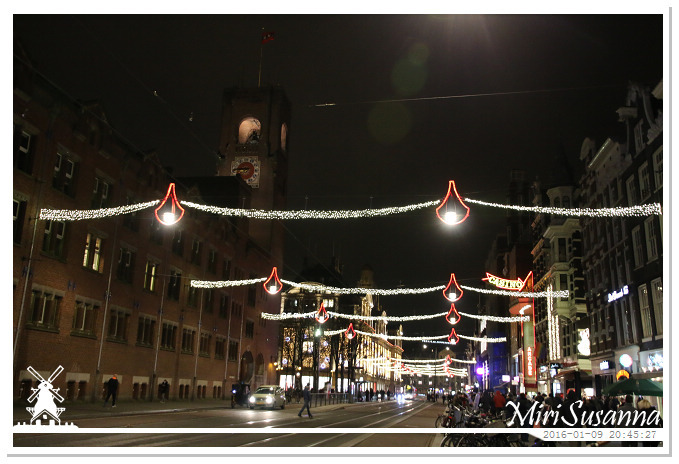 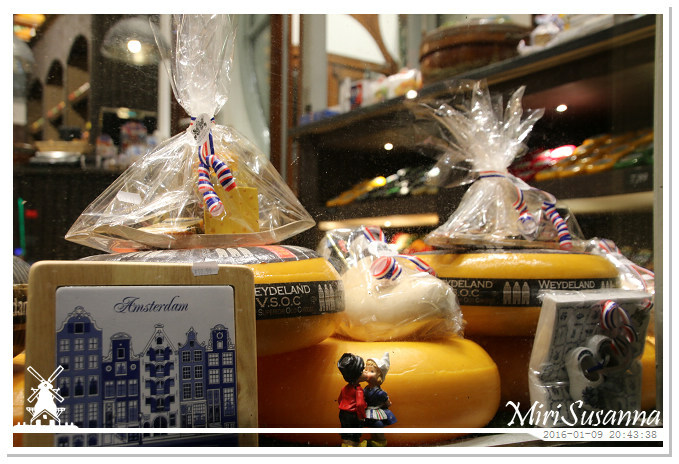 There are two main routes to enjoy the beautiful sceneries of Amsterdam during this festival: Water Colors (boat route) and Illuminade (walking route). 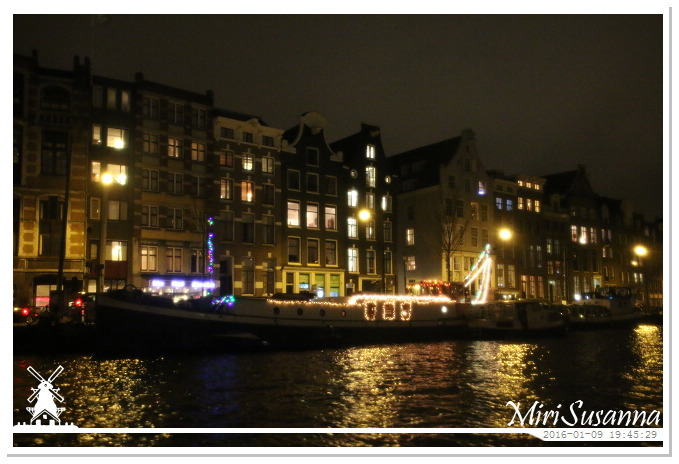 We missed the boat experience by last two editions, so this time we visited this festival again with a main purpose: take the canal cruise. 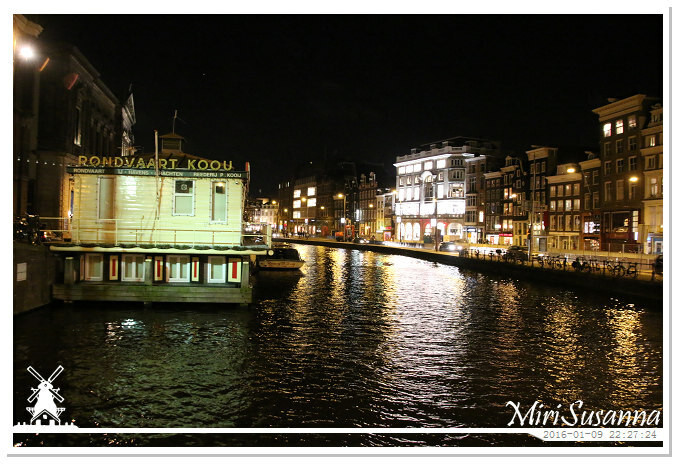 We bought the ticket via Groupon and booked our boat tour by Amsterdam Boart Experience. 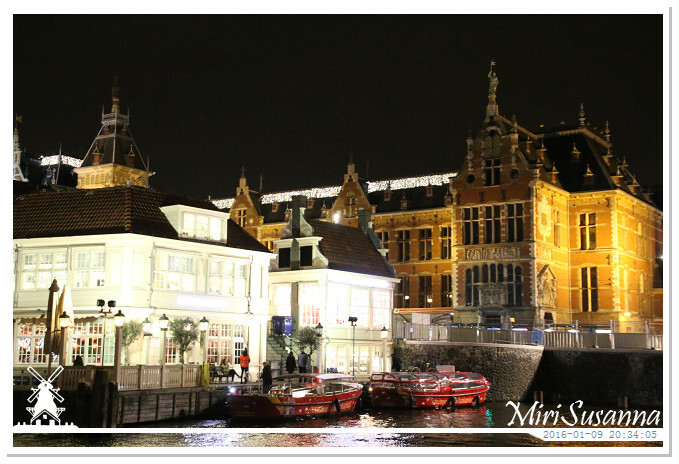 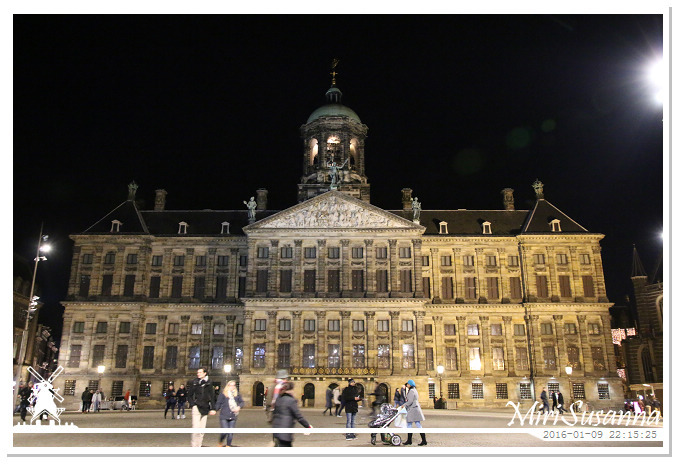 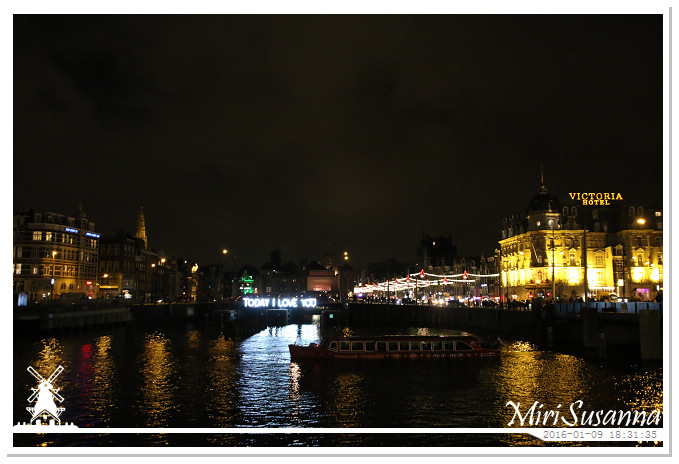 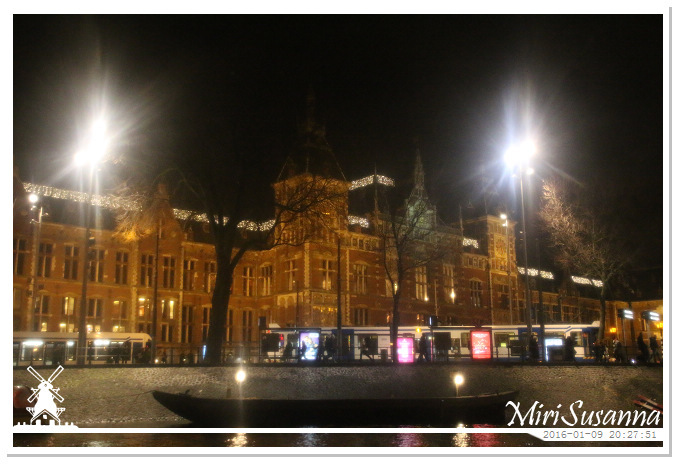 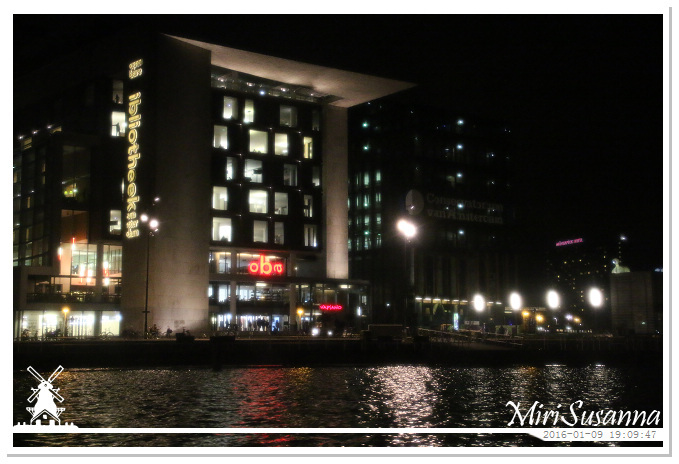 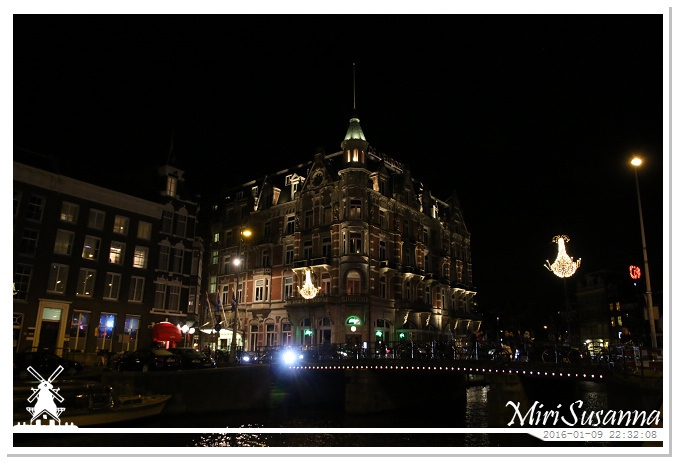 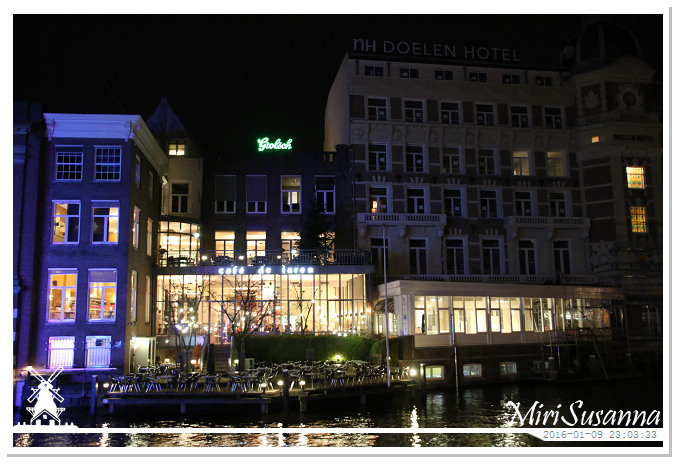 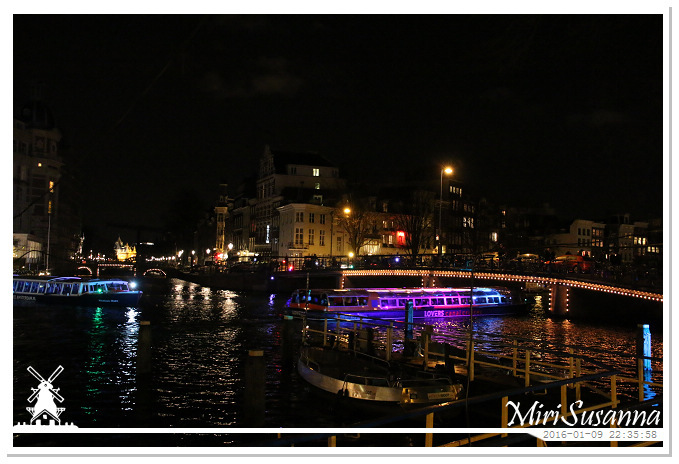 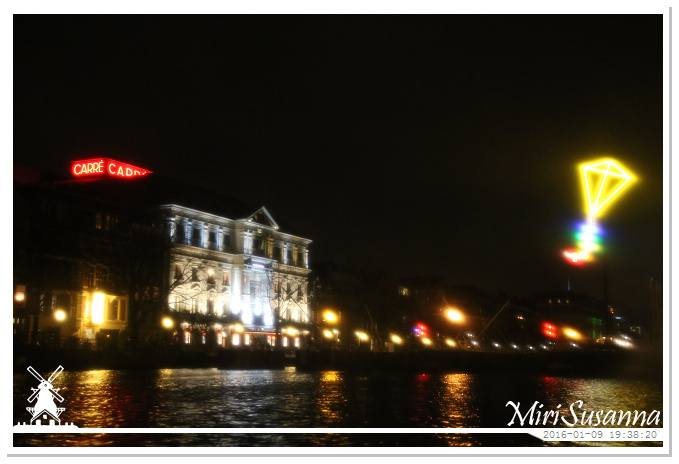 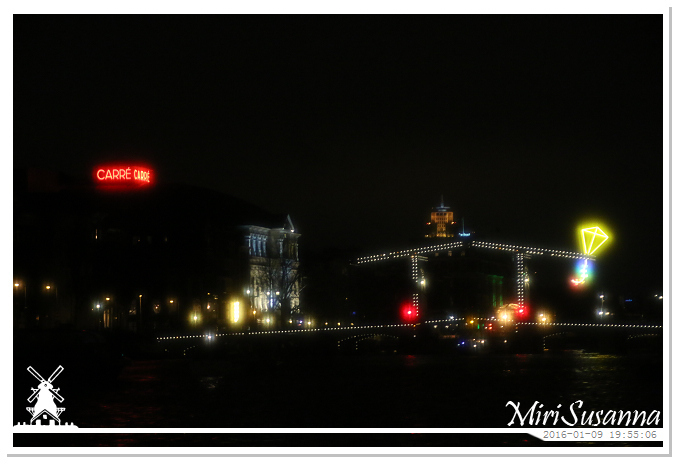 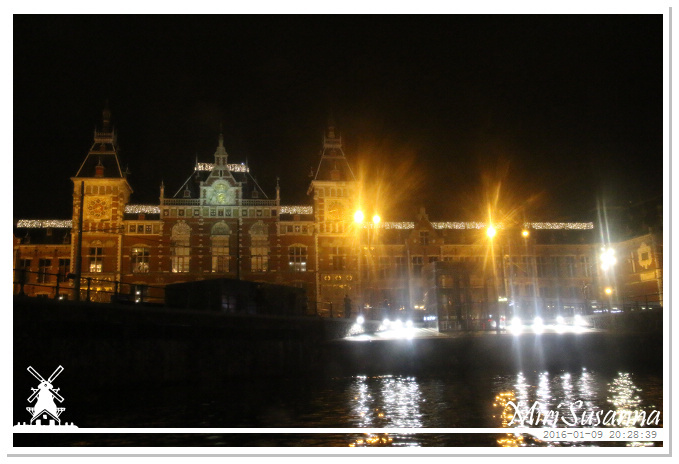 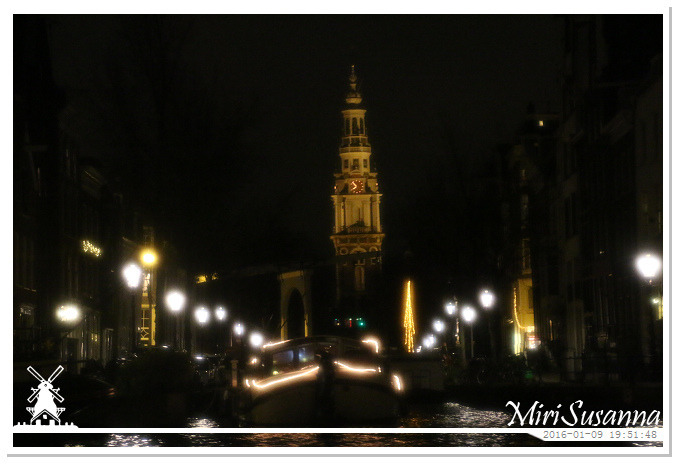 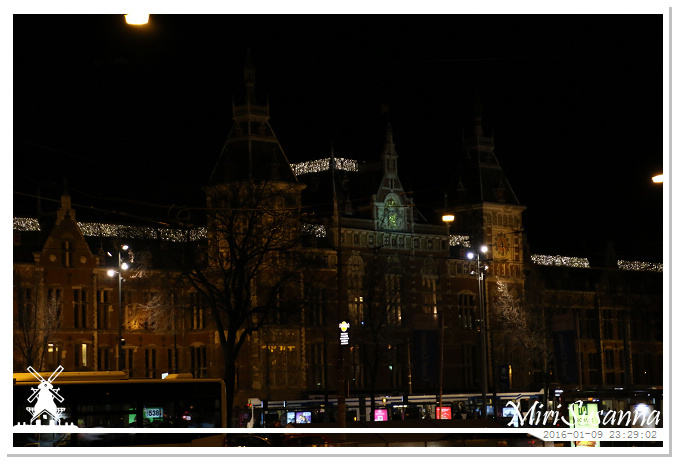 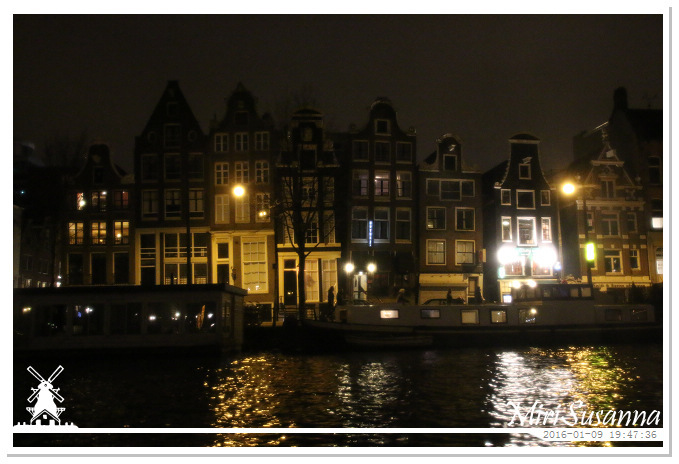 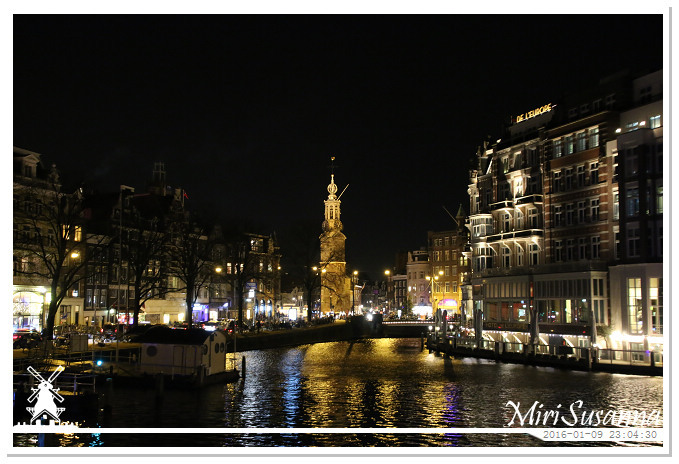 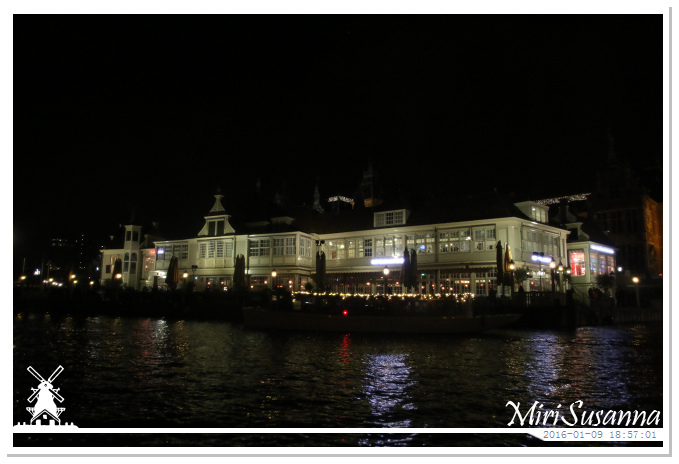 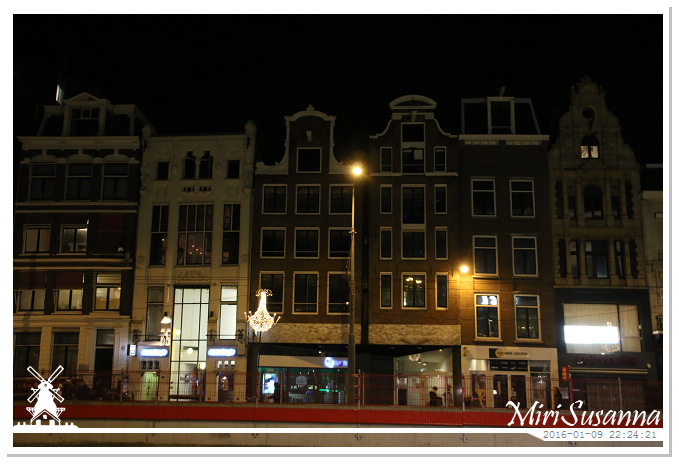 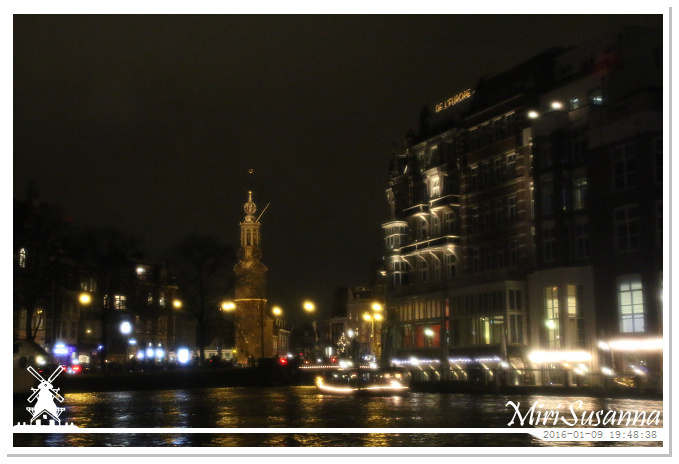 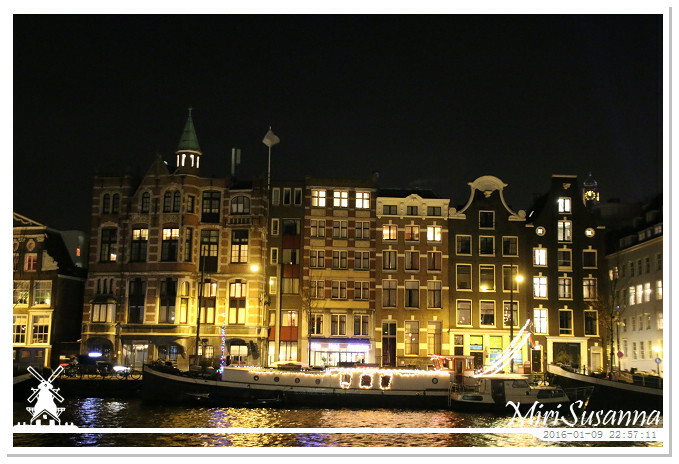 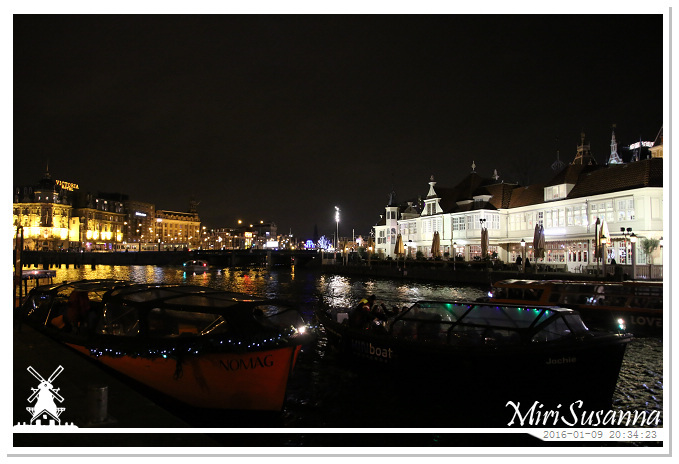 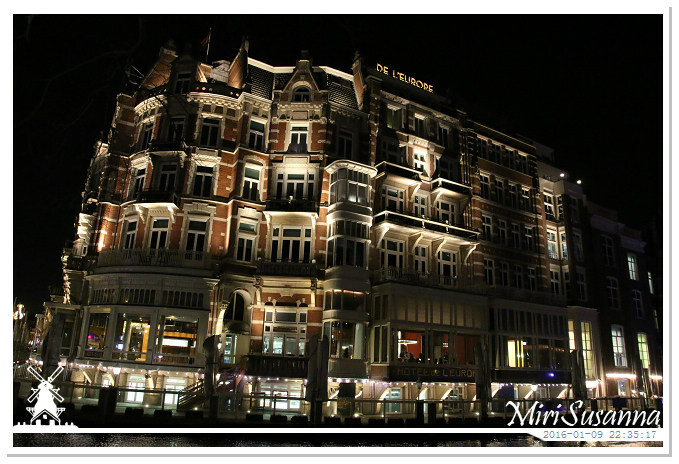 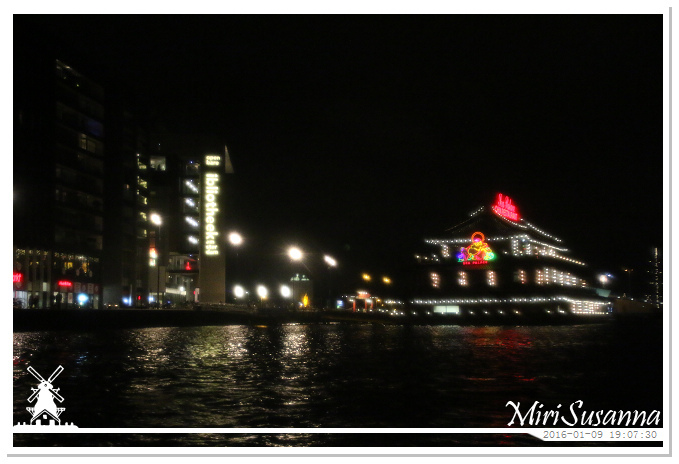 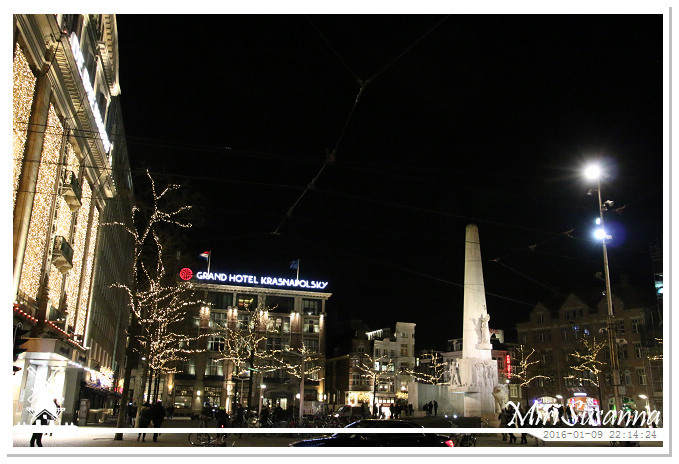 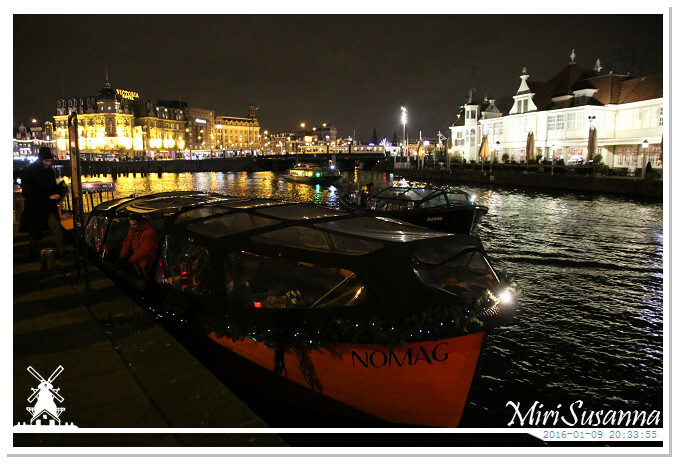 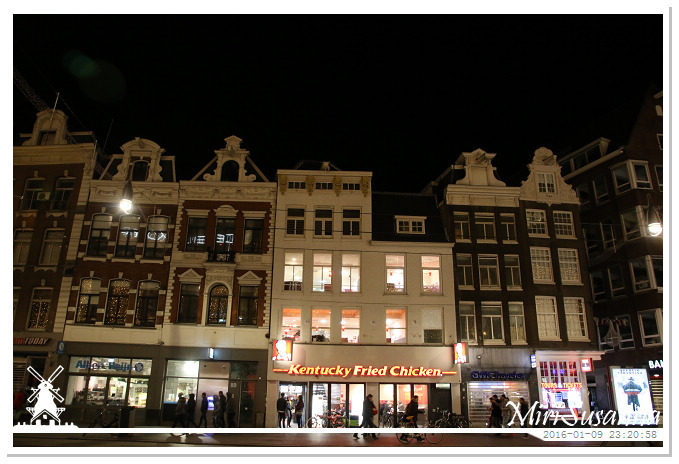 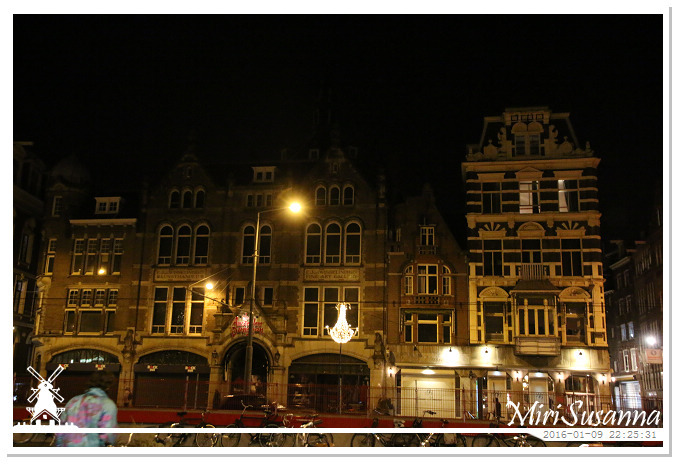 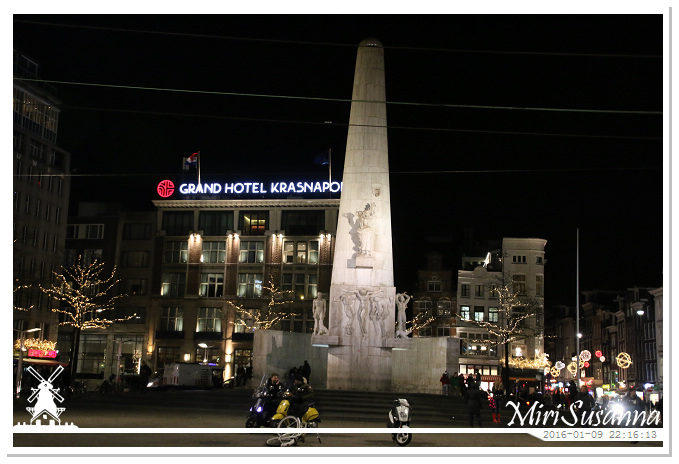 Although the Illuminade route is ended already, we still have a wonderful evening in Amsterdam with the 90 minutes boat tour and a short walking along the canals. 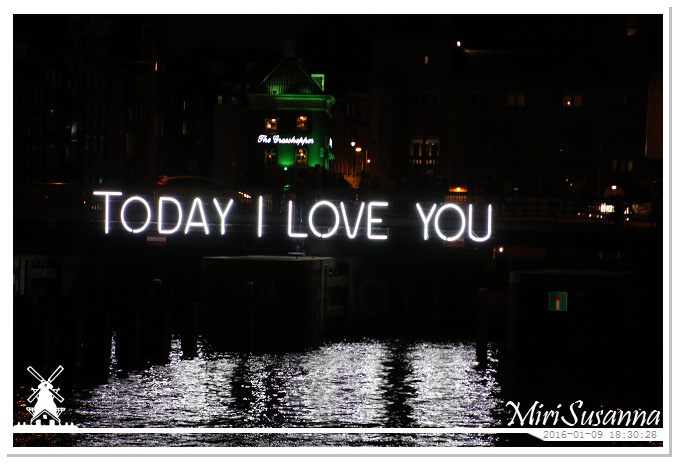 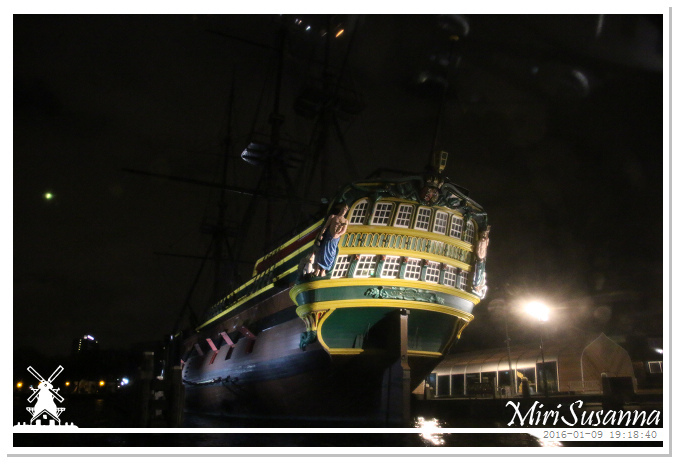 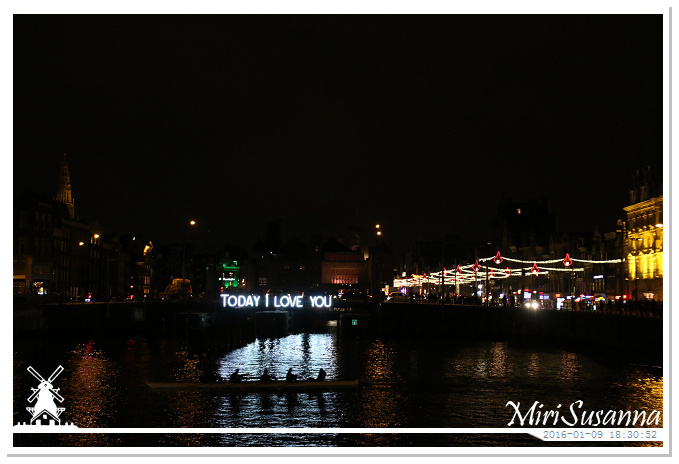 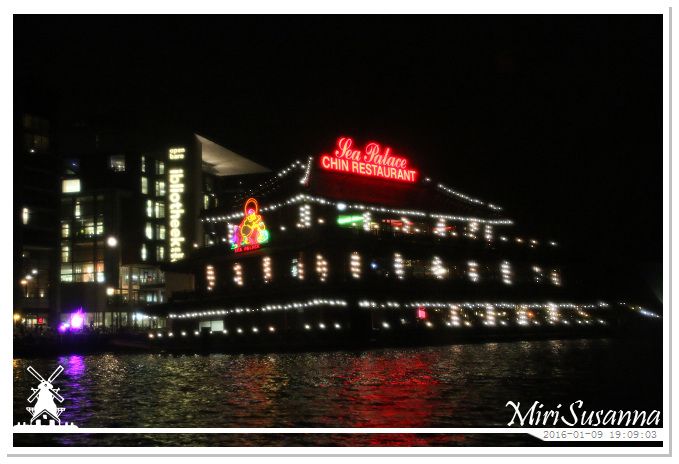 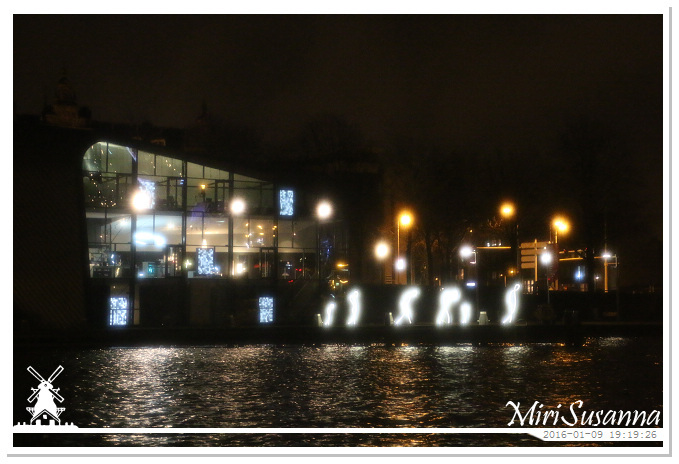 Looking for the departure place of our boat tour, then we met this “Today I love you”, so how about tomorrow? 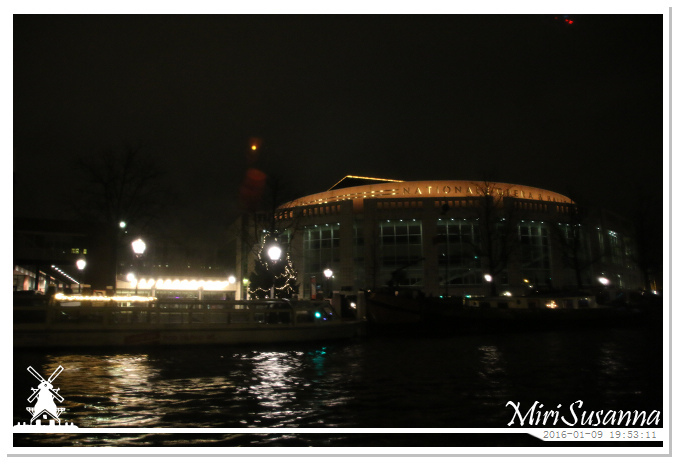 Sitting in the boat and waiting for our tour. 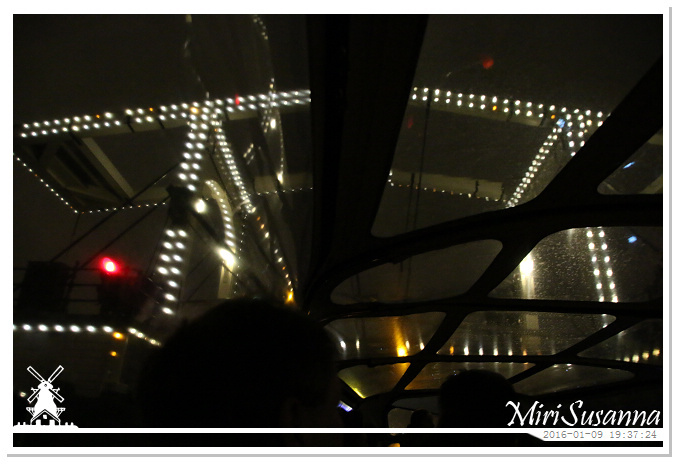 Taking pictures through the plastic window, not so sharp at all, but the point is to enjoy the views. 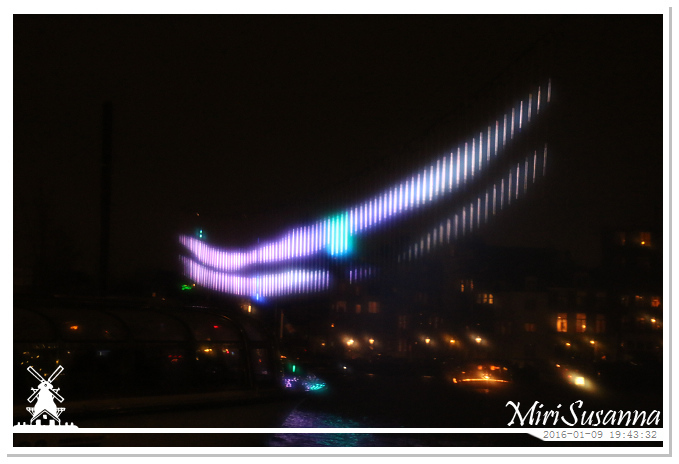 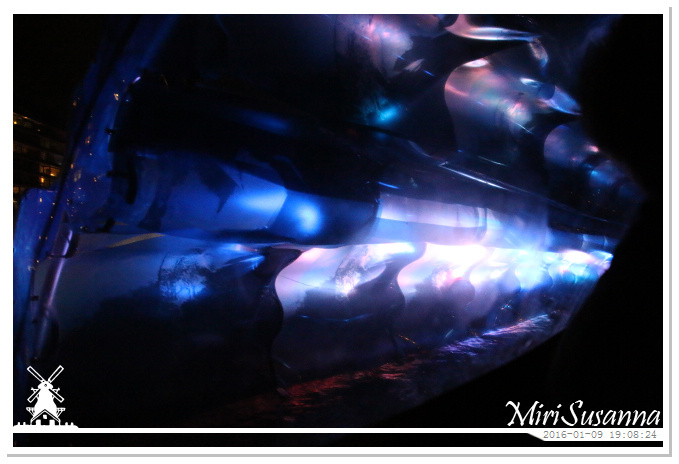 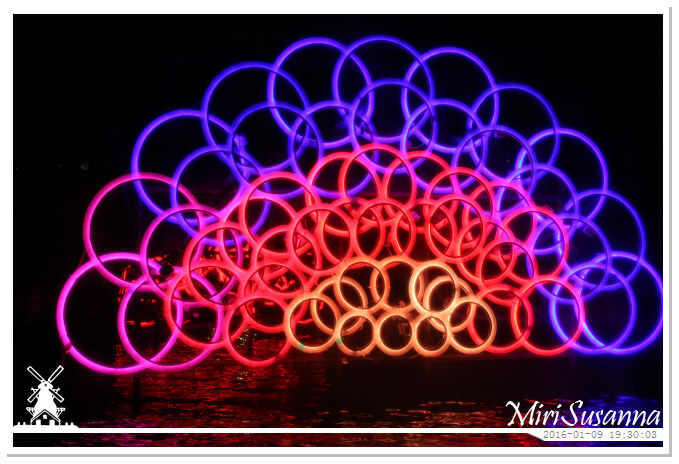 Light Wave by Anita Doornhein, light sensors will be activated and changed the colors when the boat is passing this small tunnel. 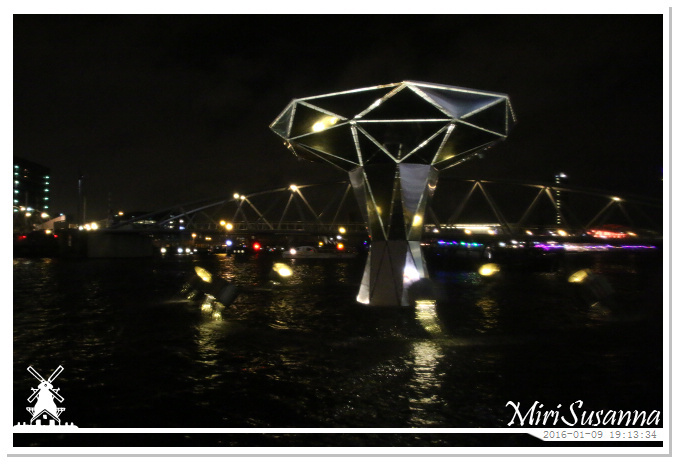 Merry go round Europe, a floating object that whirls after recharging. 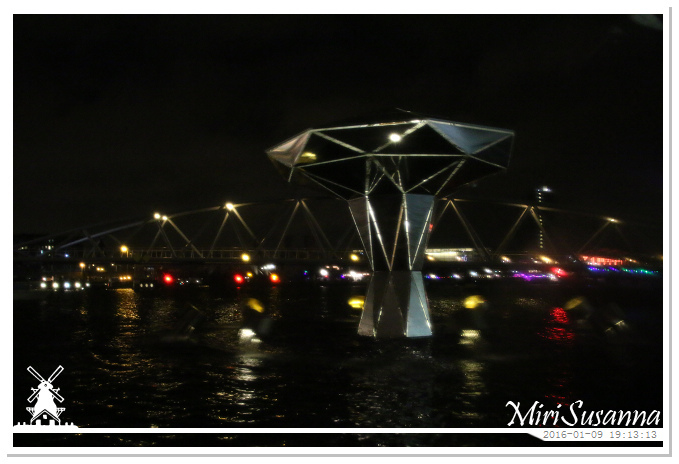 Whirling, the yellow points are buckets. 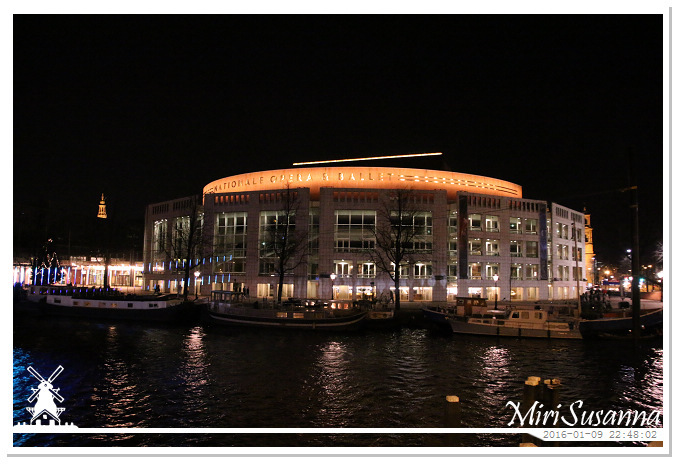 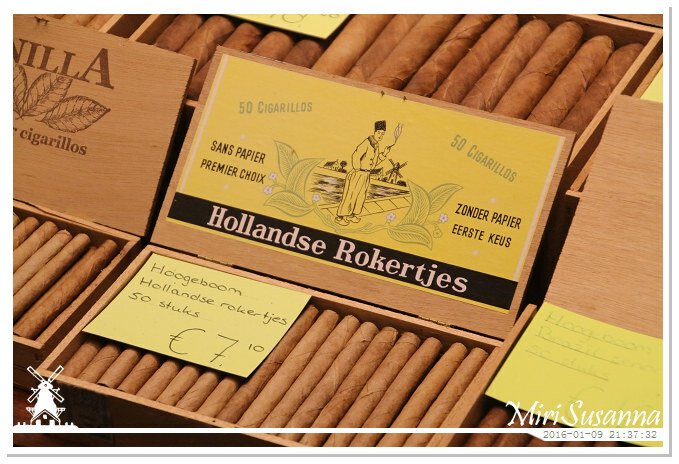 The Netherlands holds the presidency of EU in 1st half of 2016. 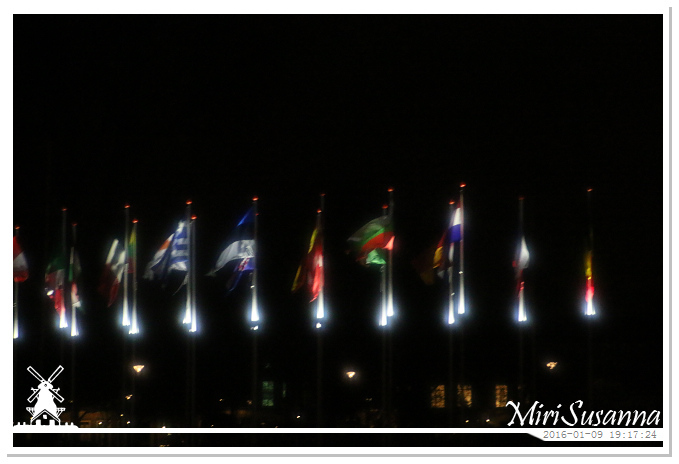 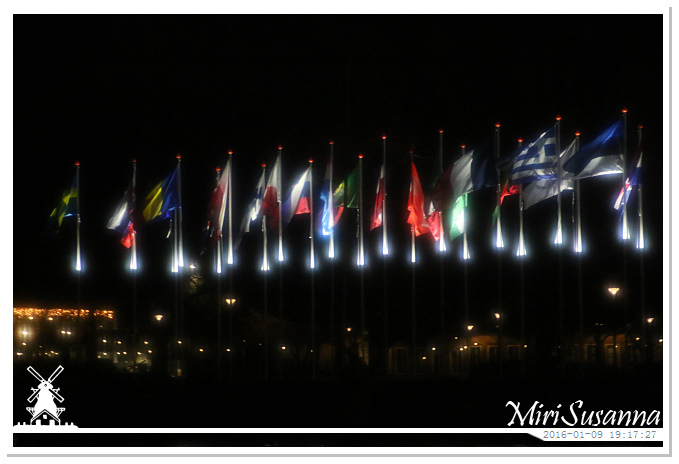 There are the flags of EU’s countries. 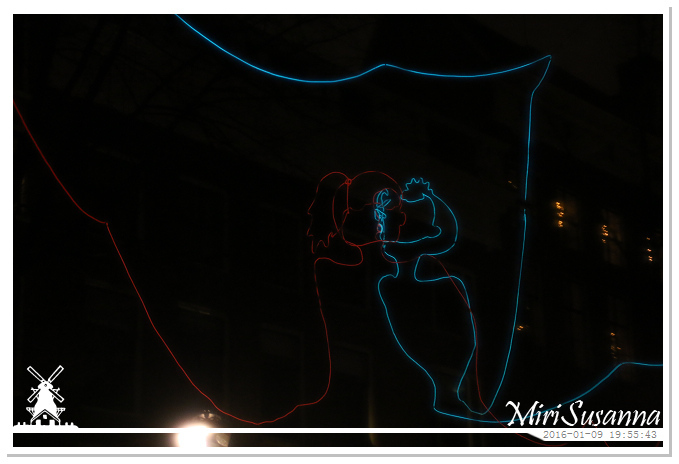 my light is your light by alaa minawi. 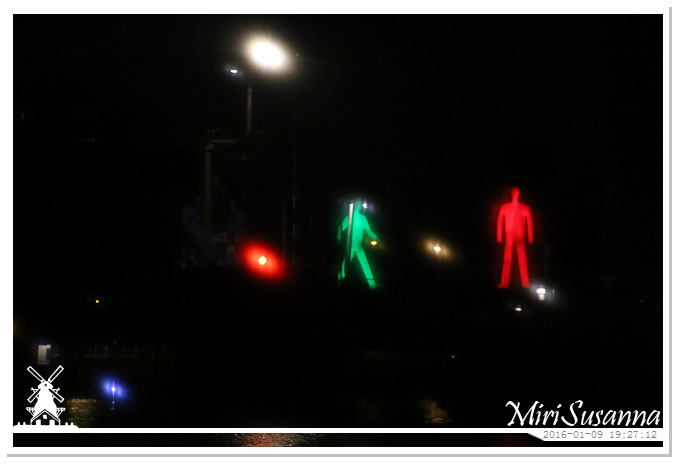 Stranges in the Light, these two icons are never together in a traffic light,so there are strangers to each other. 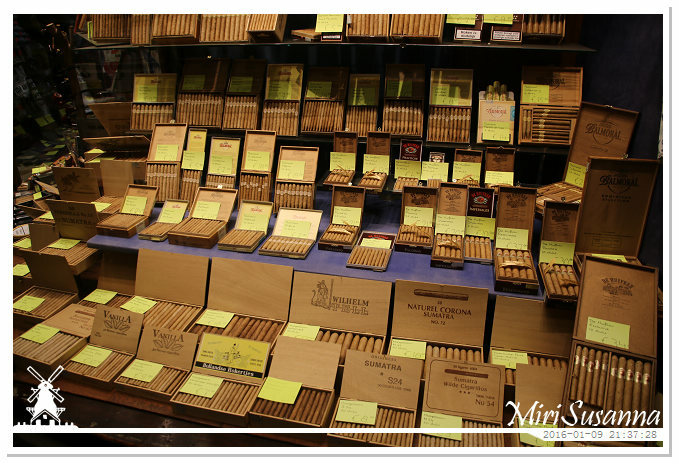 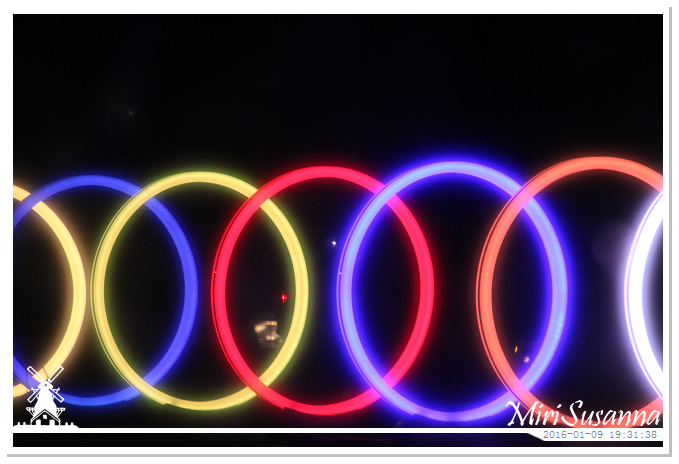 Bands of Friendship, symbolizes endless friendship and has been positioned in such a way that the spectator may look at them from different angles with changing meanings from every perspective. 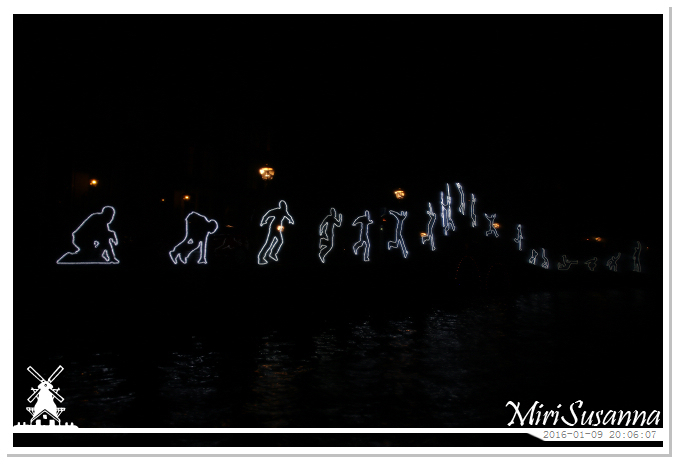 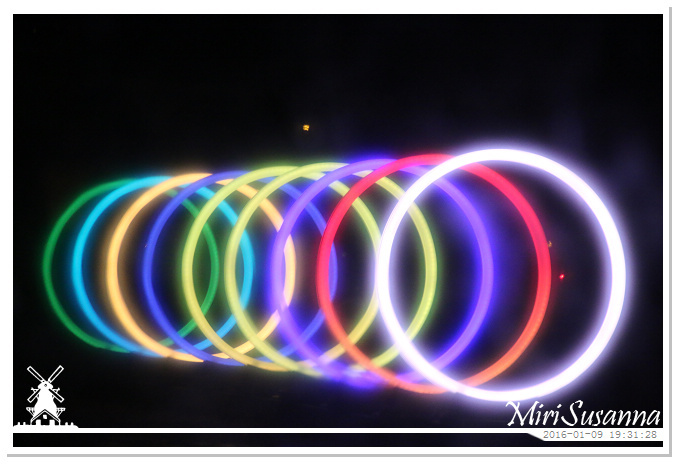 Paths Crossing, a 160 meters long lines of light, representing certain stages of life. 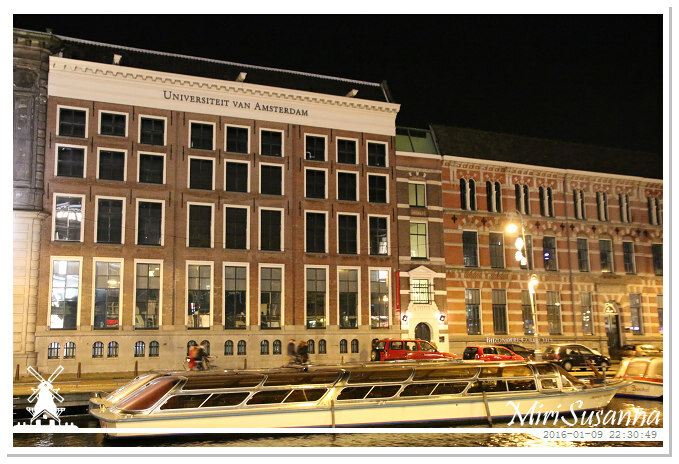 Student life, drinking and party? 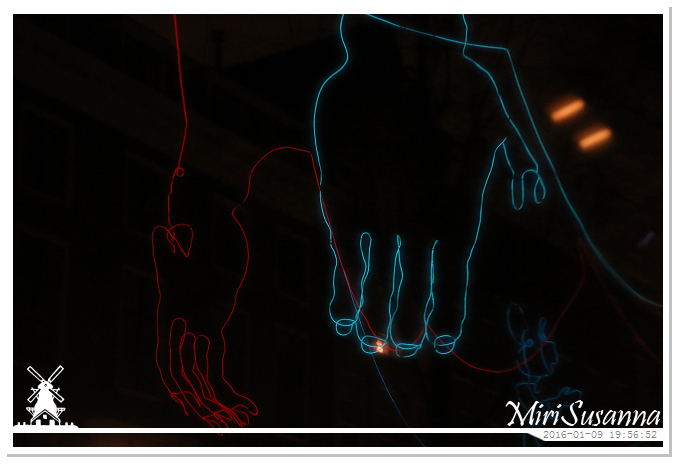 Hand in hand or friendship? 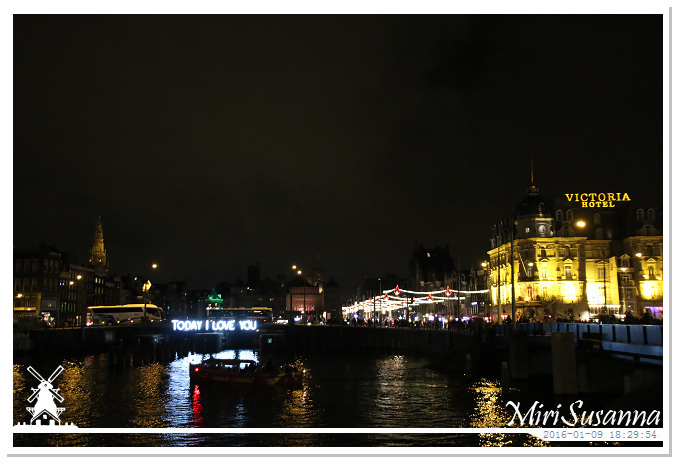 Freedom as a valuable friend. 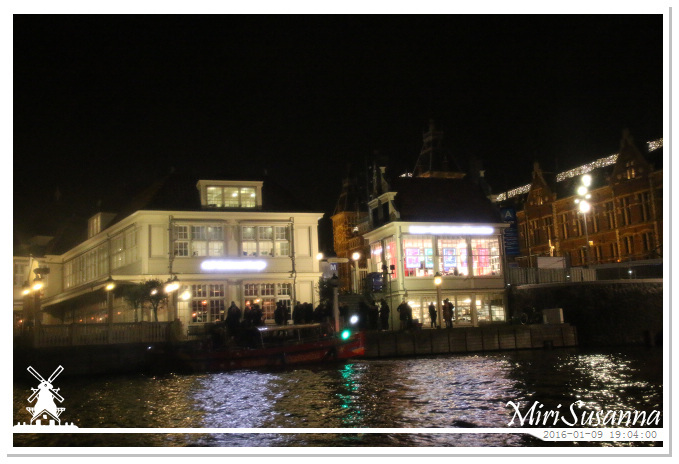 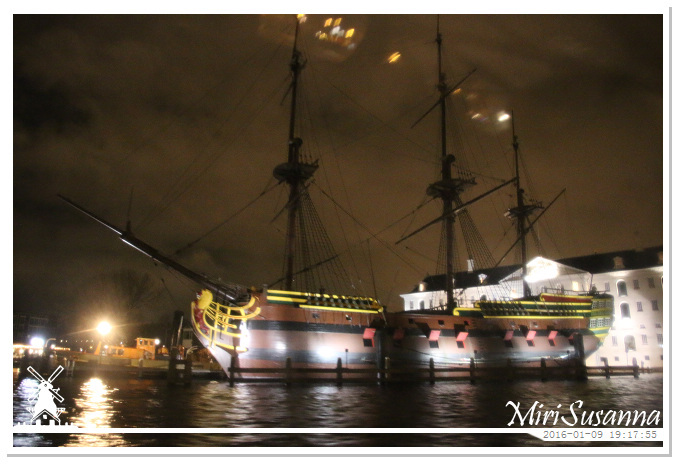 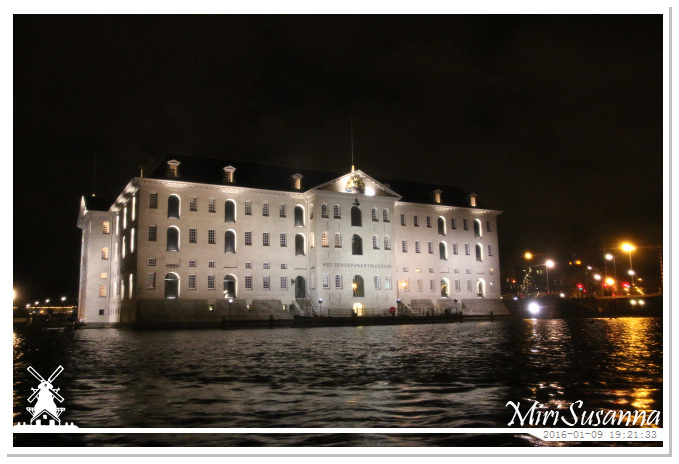 A wonderful tour by Amsterdam Boat Experience. 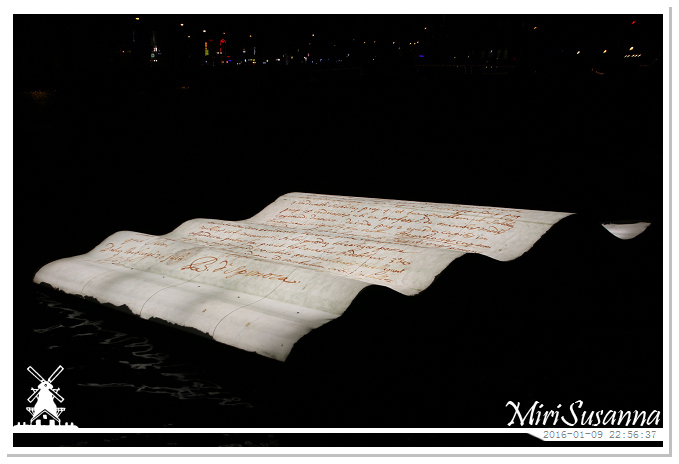 Dearest friend, a letter written by the Amsterdam philosopher Baruch Spinoza to his intellectual friend Lodewijk Meijer, floating on water. 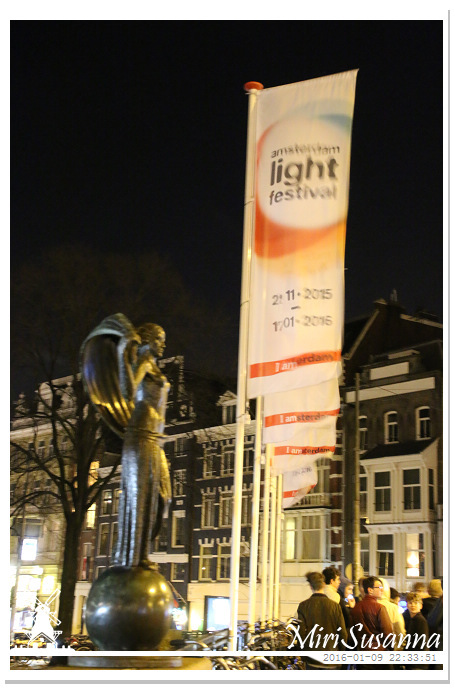 Light out at 11pm and all scenes of the festival lost their color.